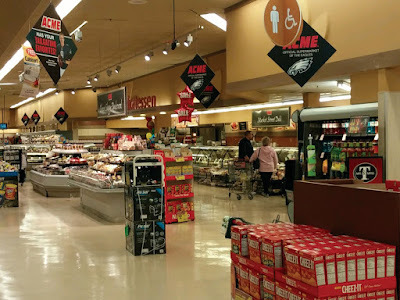 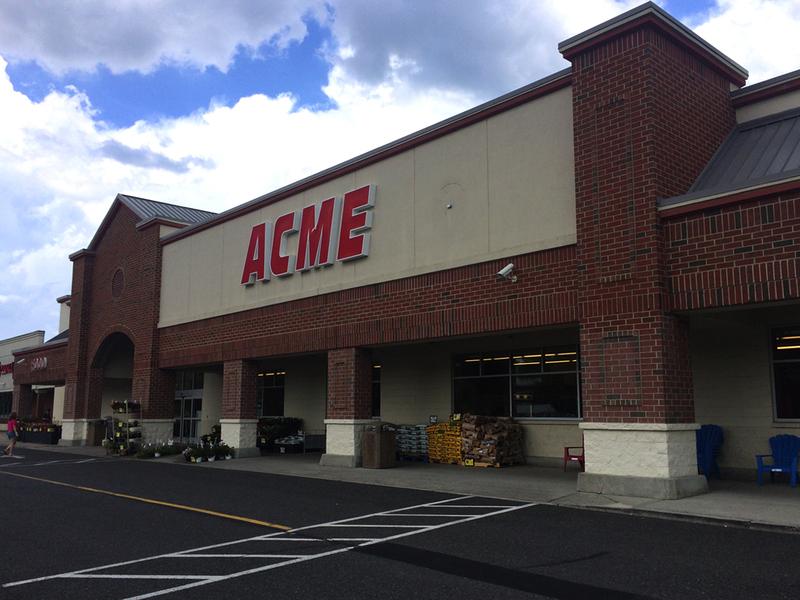 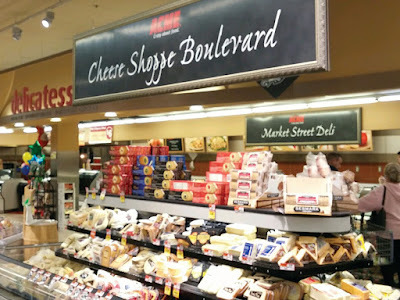 Passed through Shrewsbury last weekend and stopped by the old Acme to see if there's been any changes. Sure has! 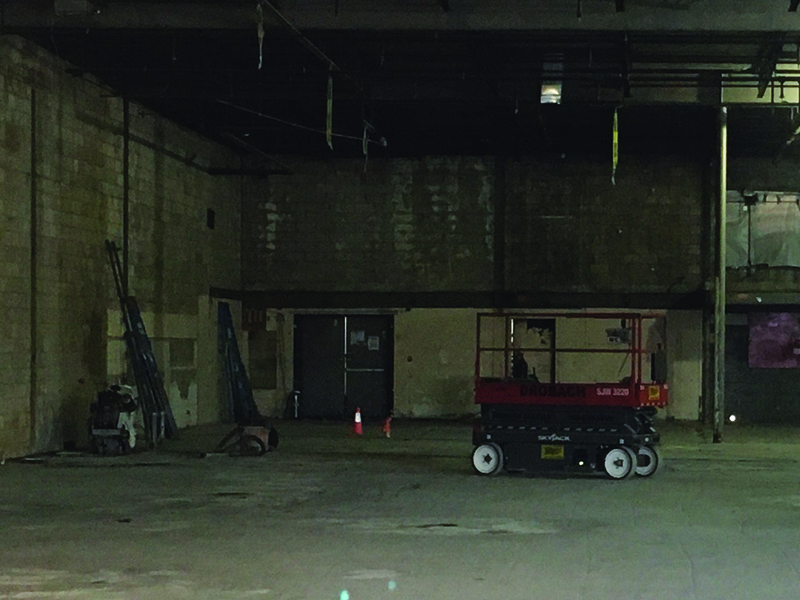 The interior has been completely gutted. The facade appears to have been set up for two stores taking the space (see exterior photo at the end of the post) but there was no indication that any businesses are lined up to move in. 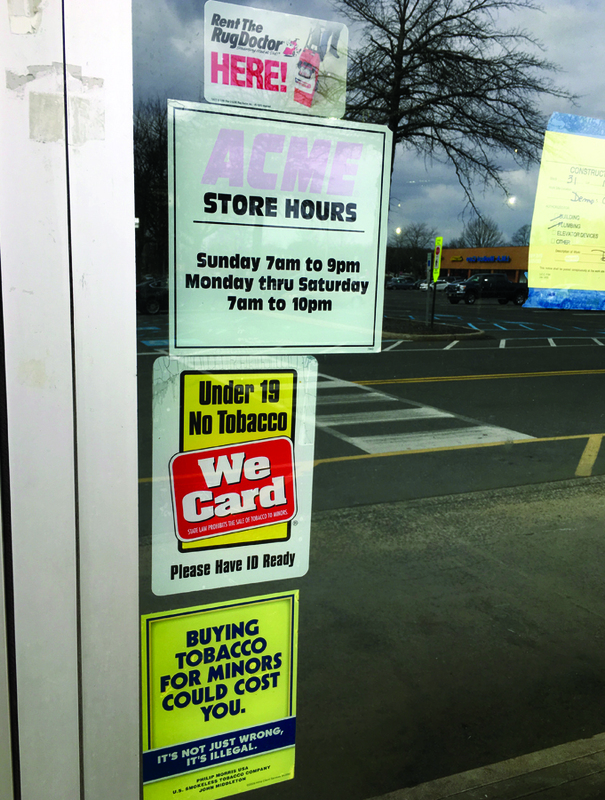 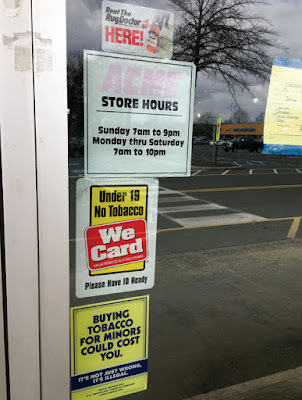 These stickers next to the entrance are all that's left to indicate an Acme was ever here. 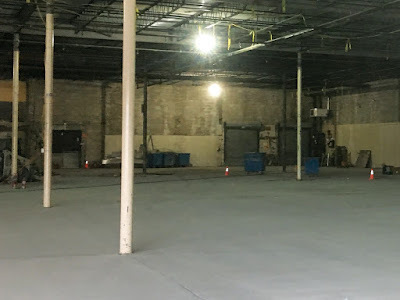 Completely cleared out! 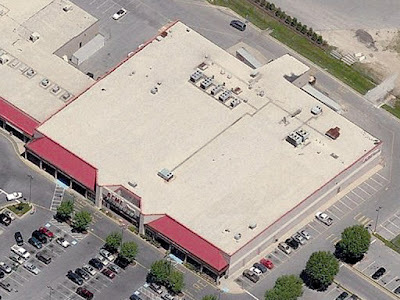 Including the second floor along the back. 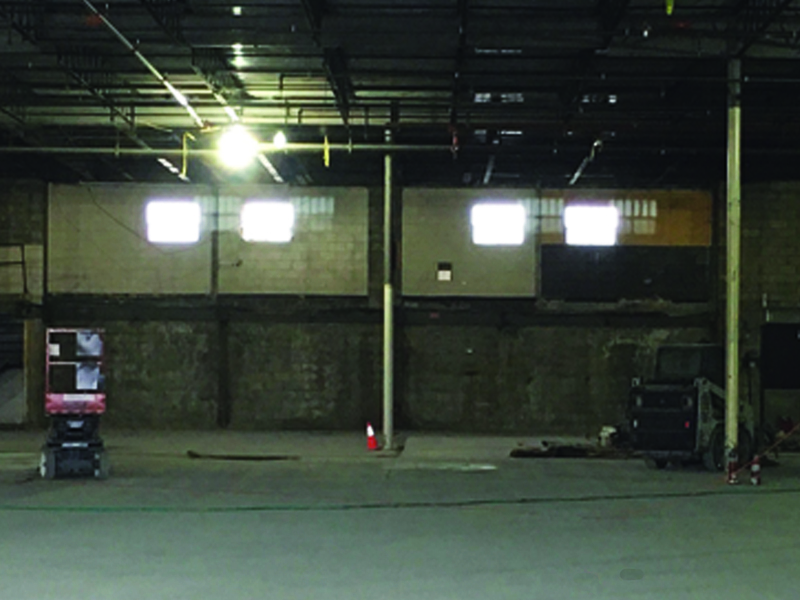 Breakroom windows up on the former second floor. The place looks huge all cleared out. 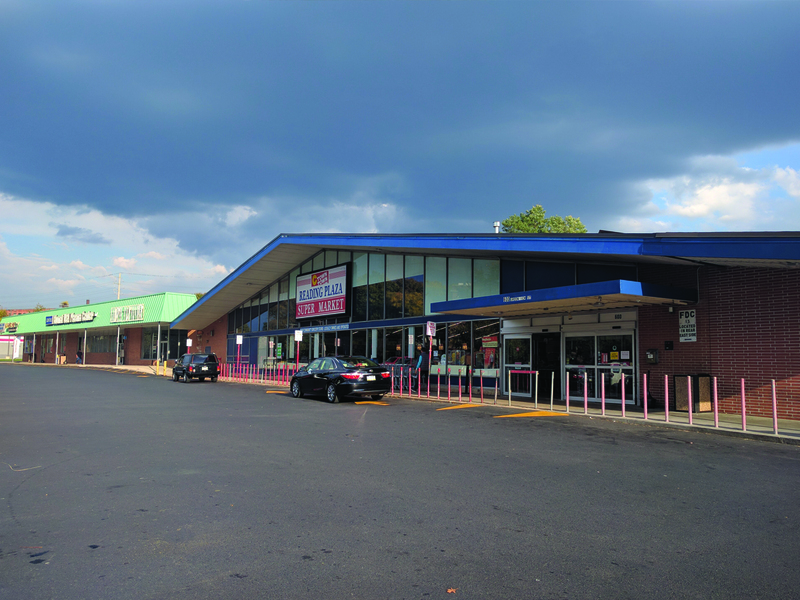 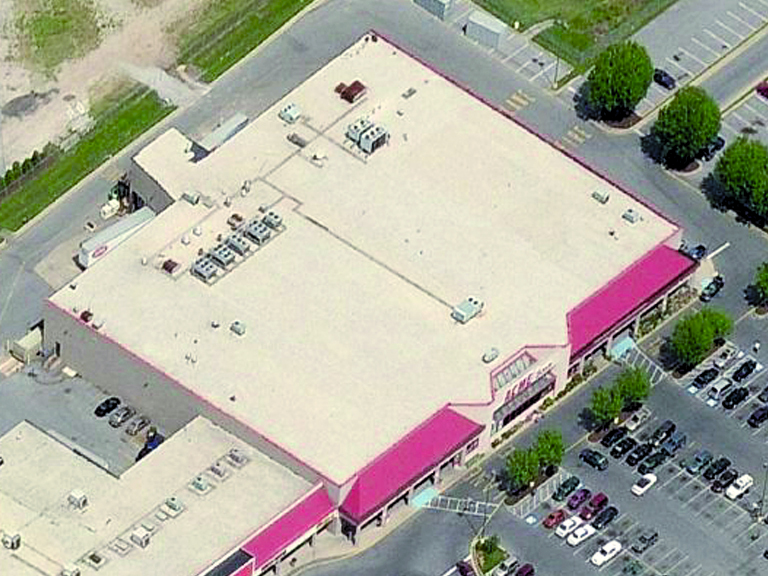 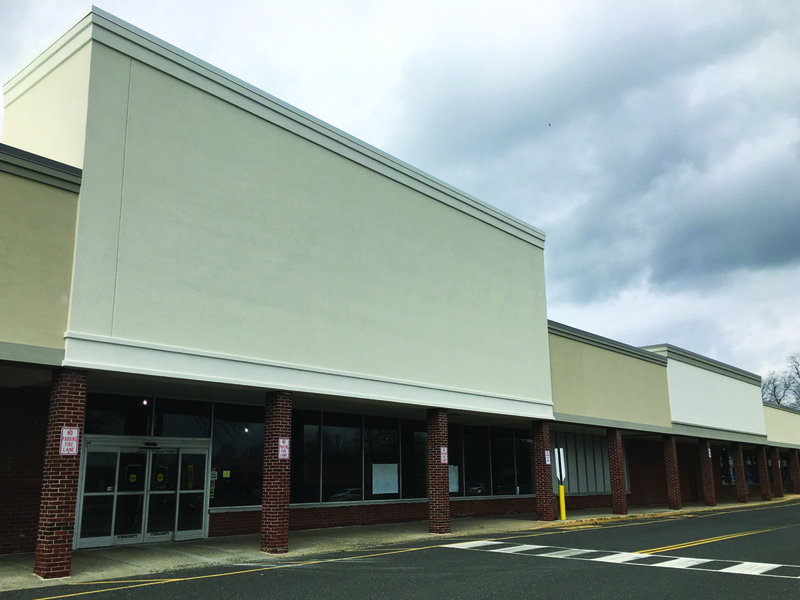 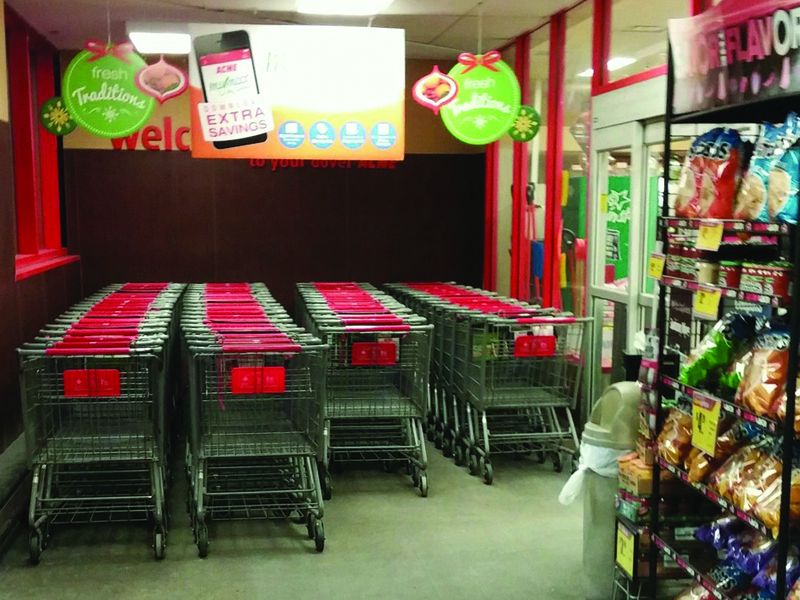 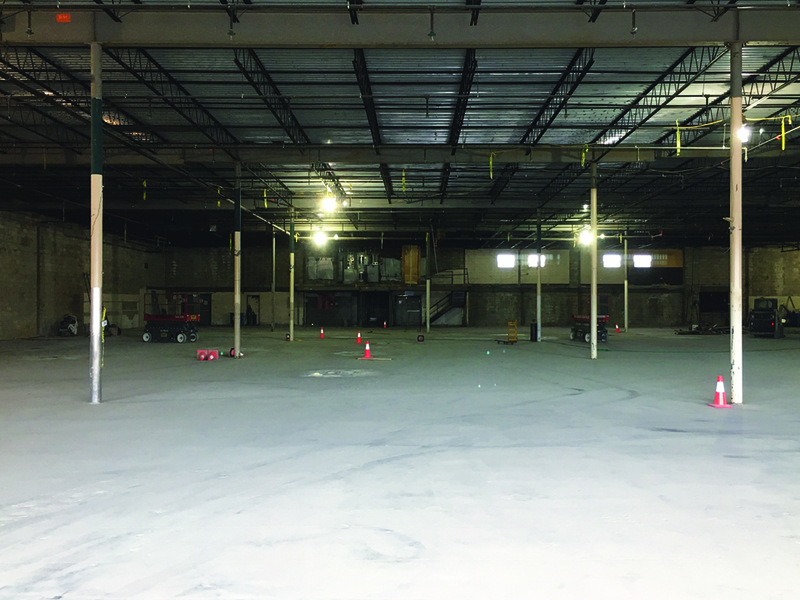 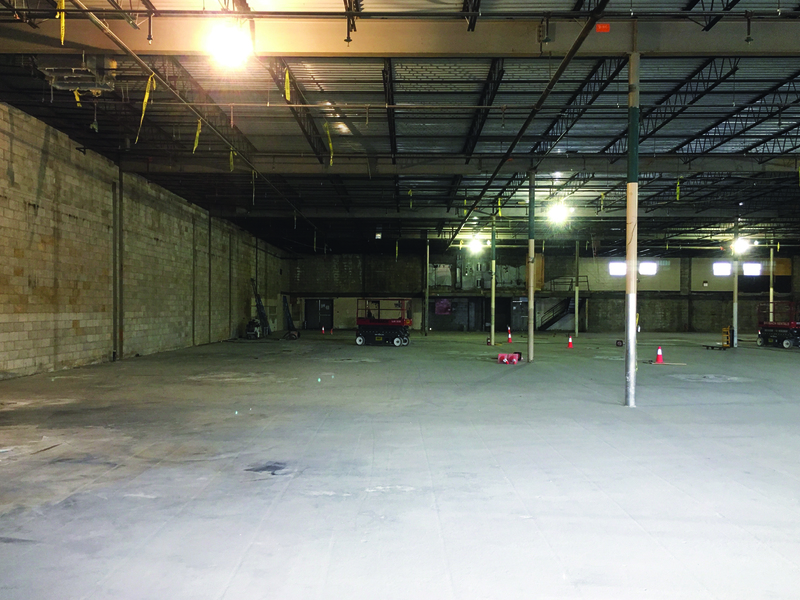 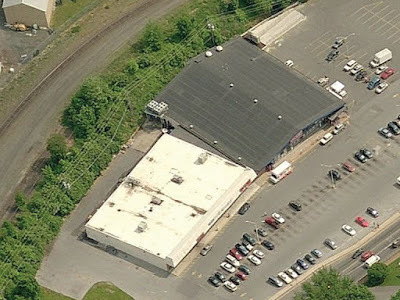 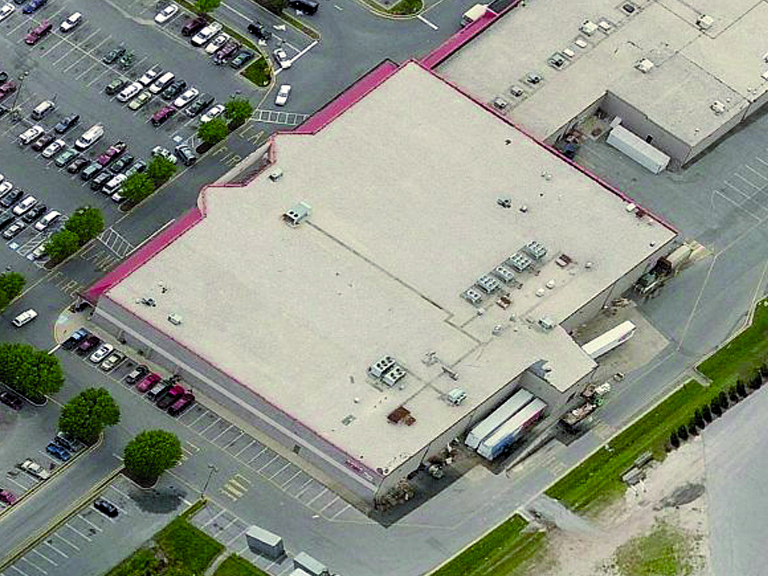 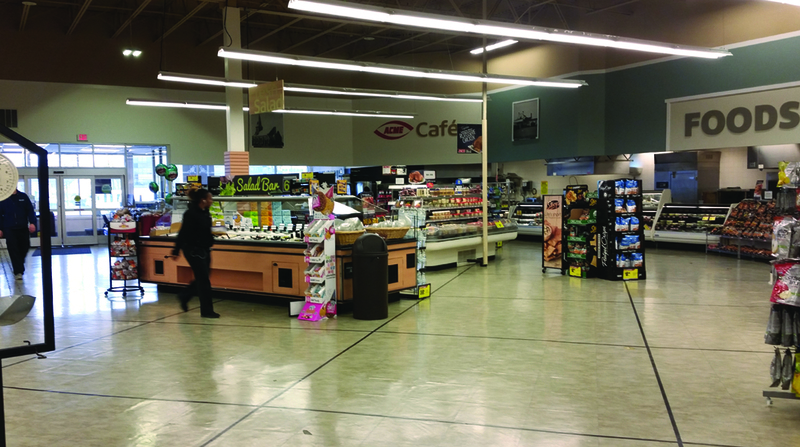 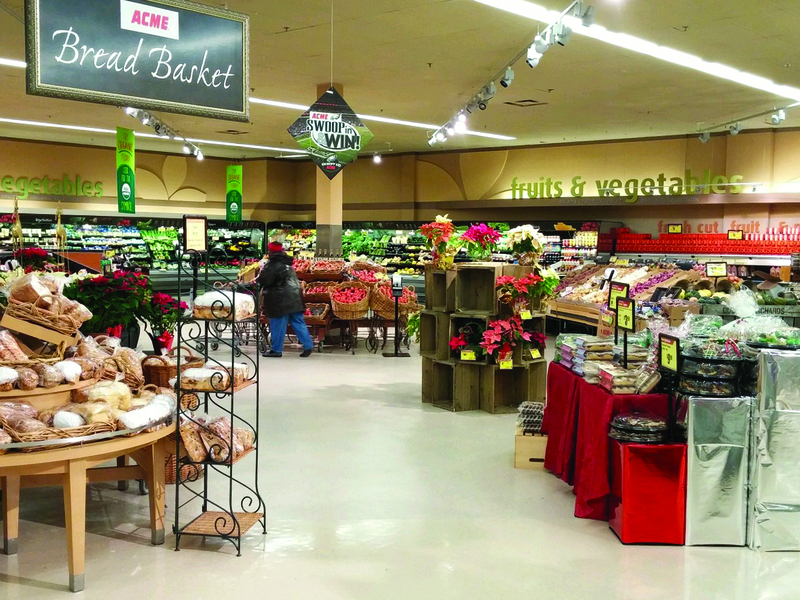 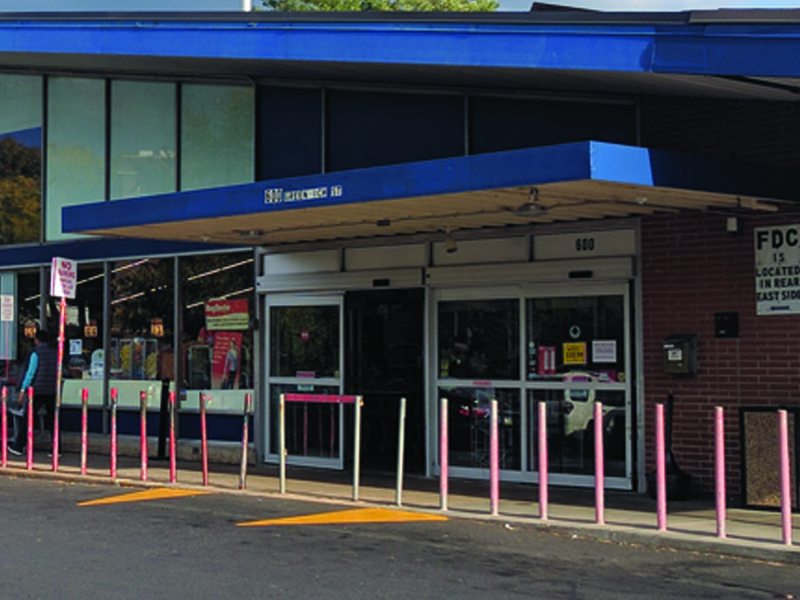 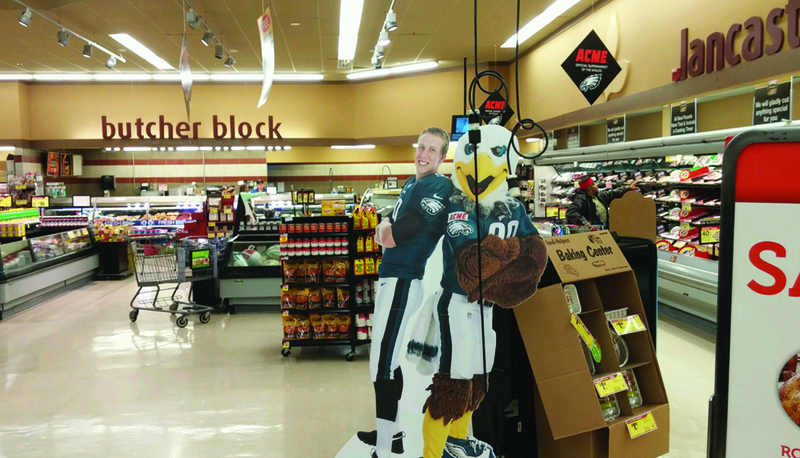 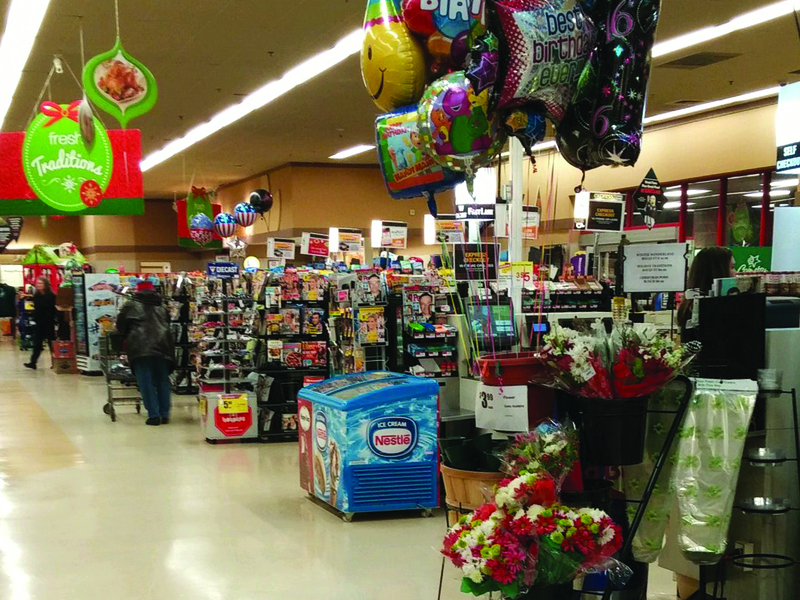 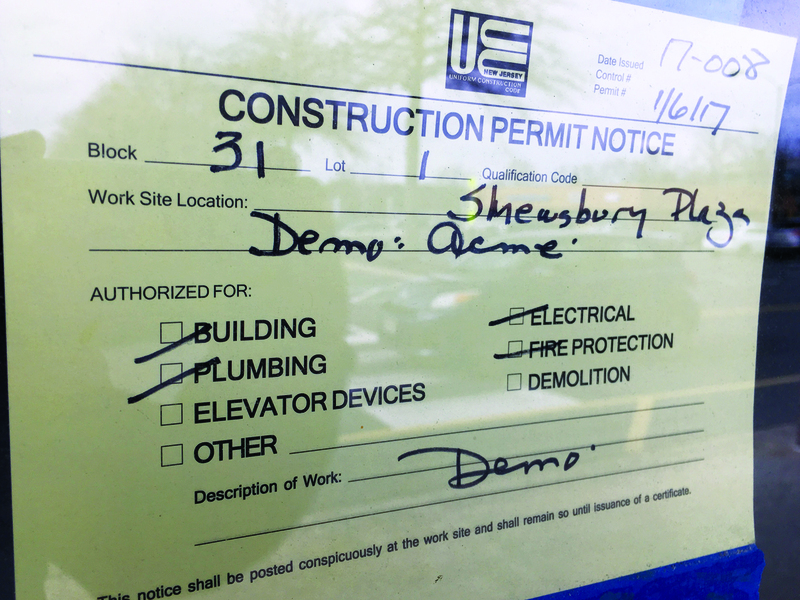 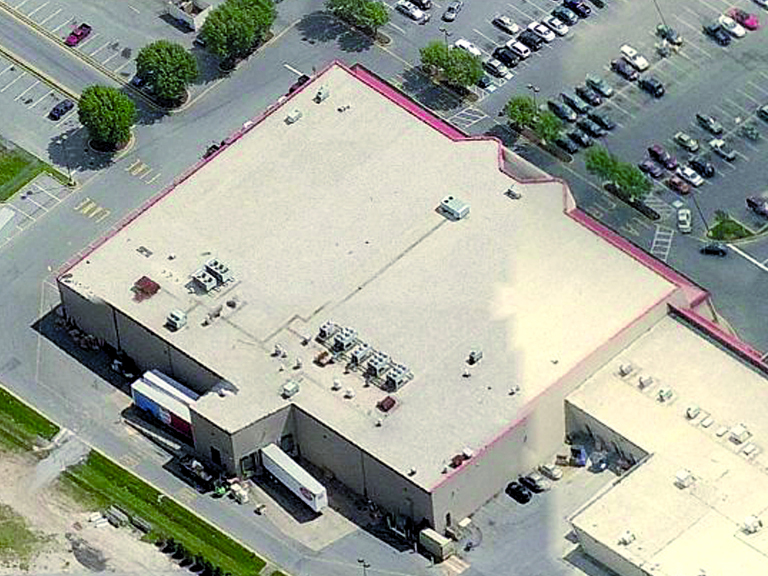 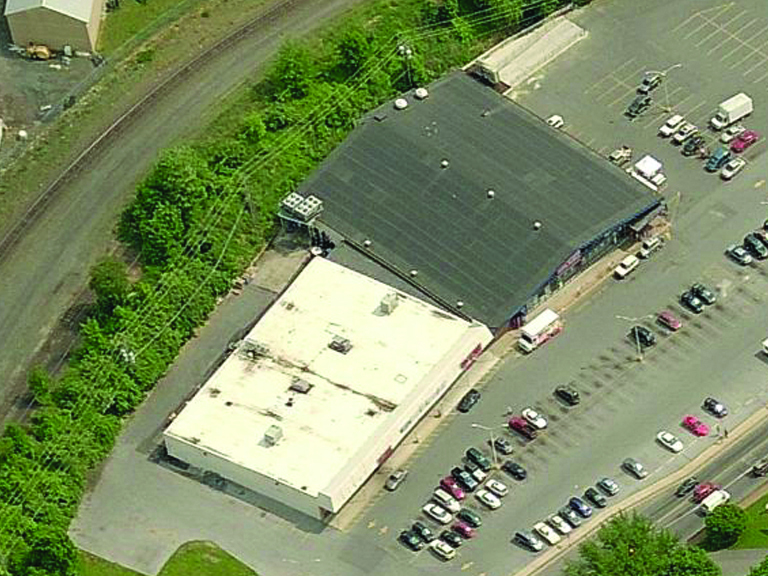 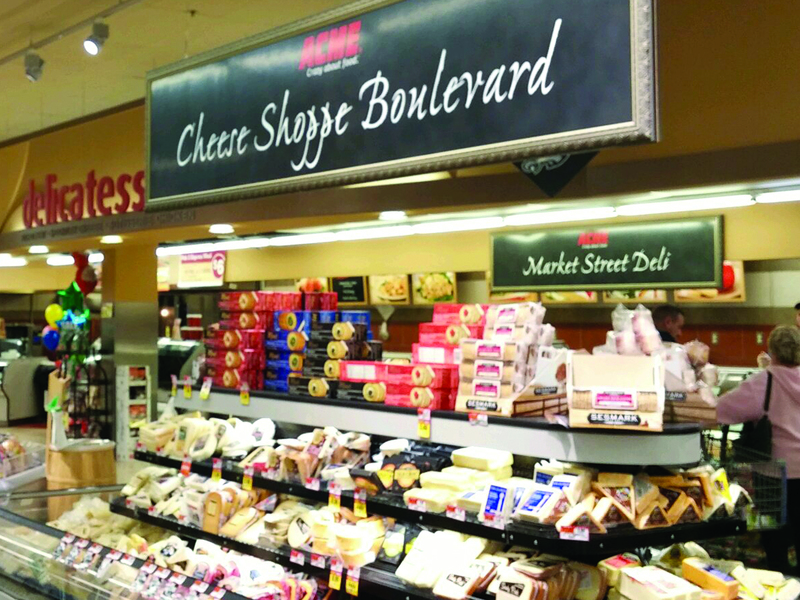 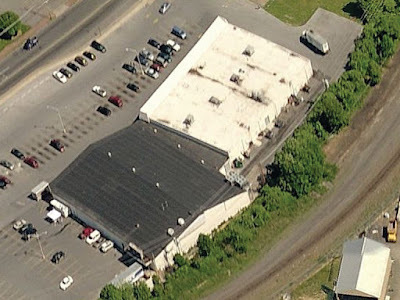 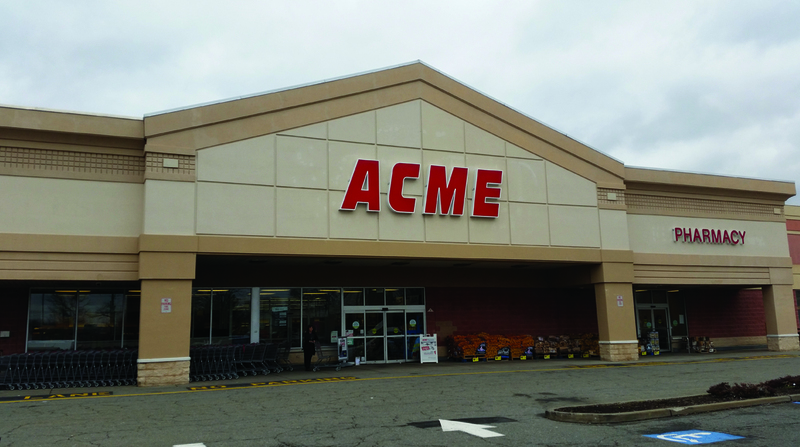 For full coverage of the former Shrewsbury Acme, please click here. 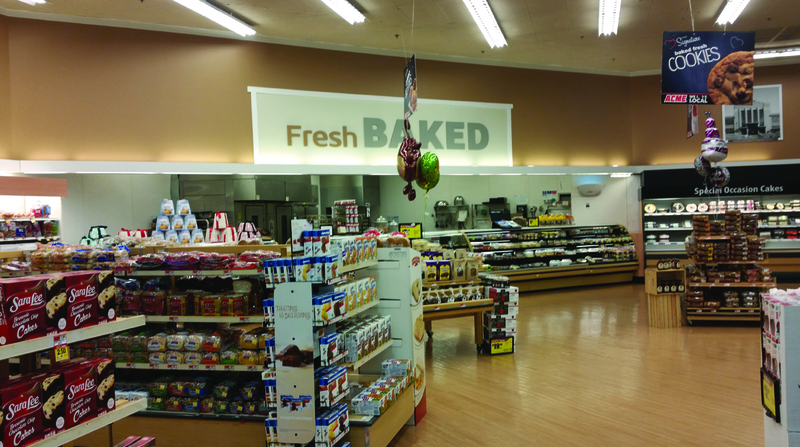 Pictures of the completed remodel will be going up next week! 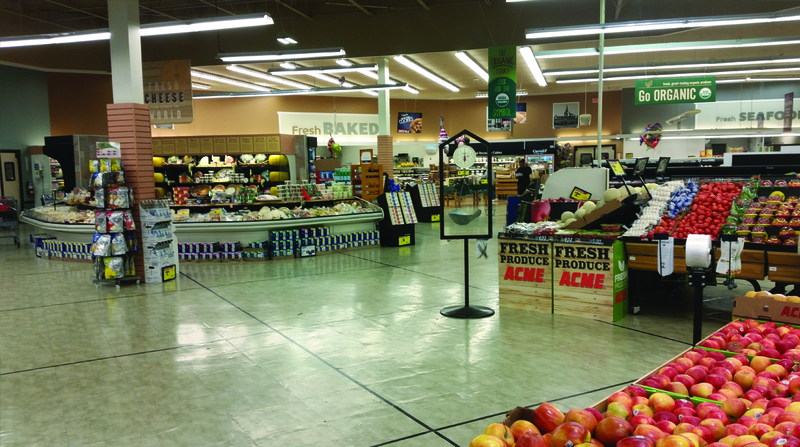 In the meantime, you can check out previous coverage of the Audubon store by clicking here. 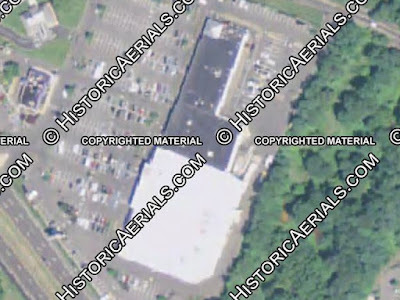 Quality Built in Saddle Brook! 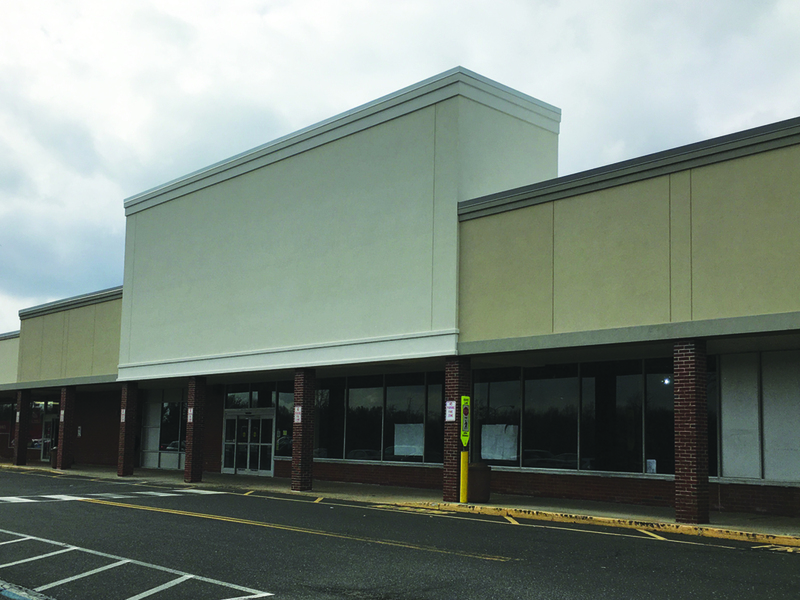 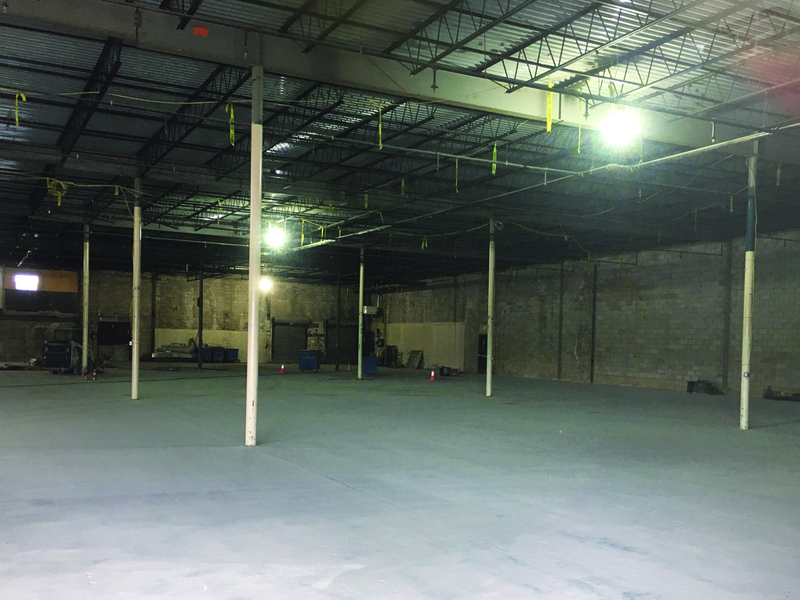 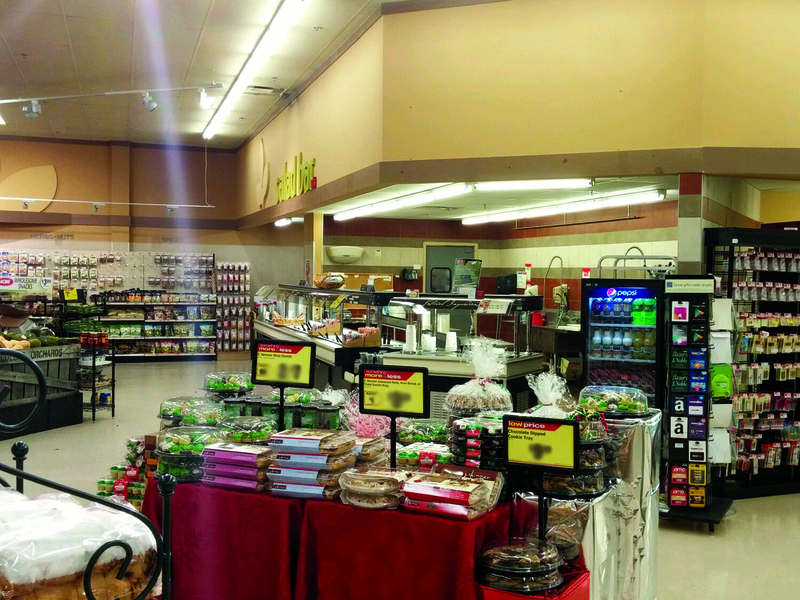 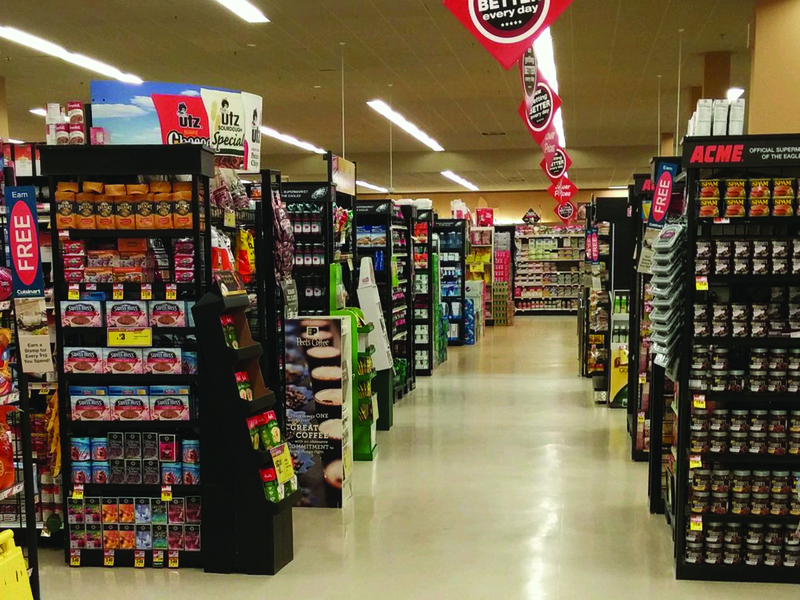 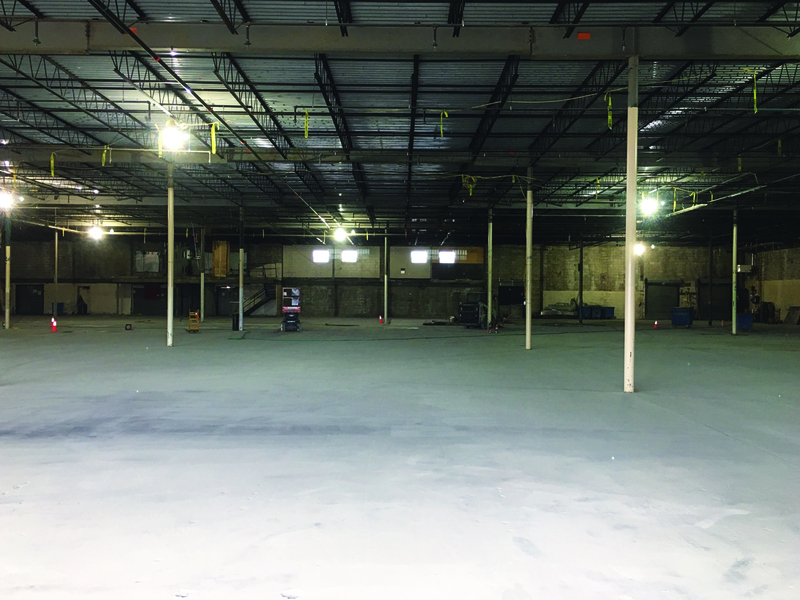 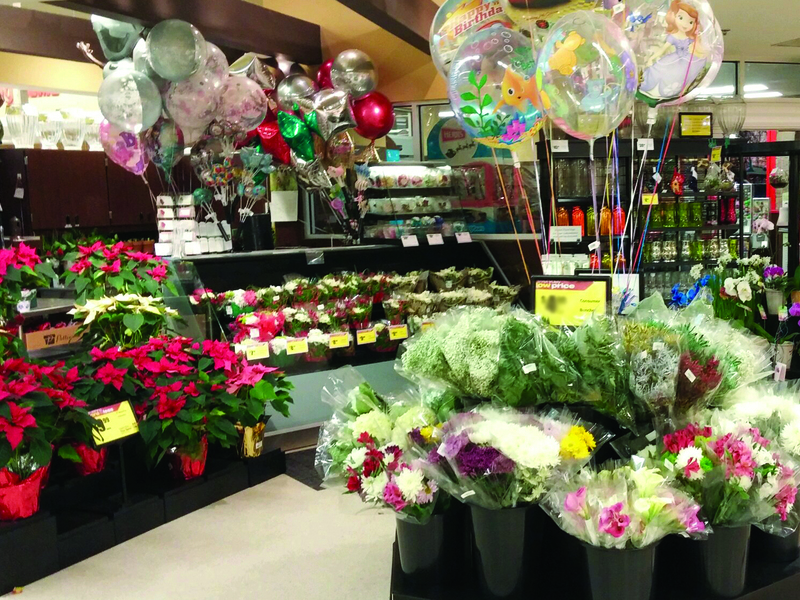 For "before" pictures of the Saddle Brook store, click here. 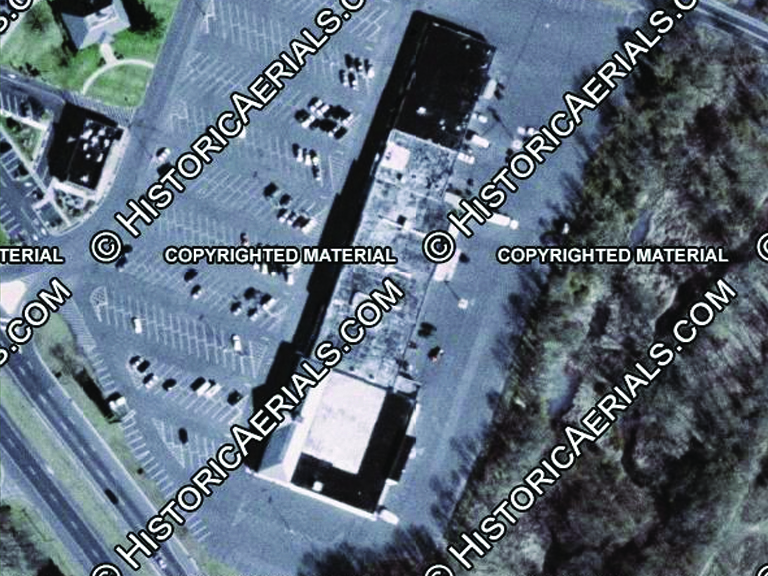 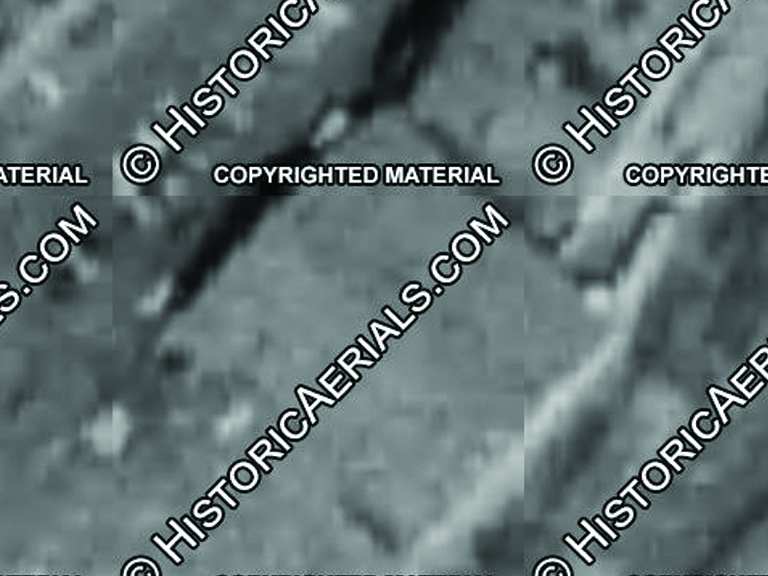 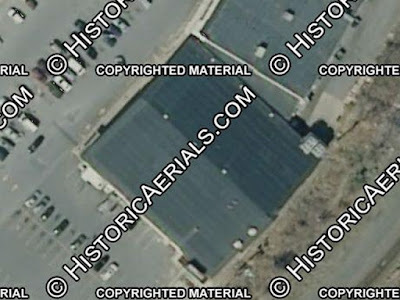 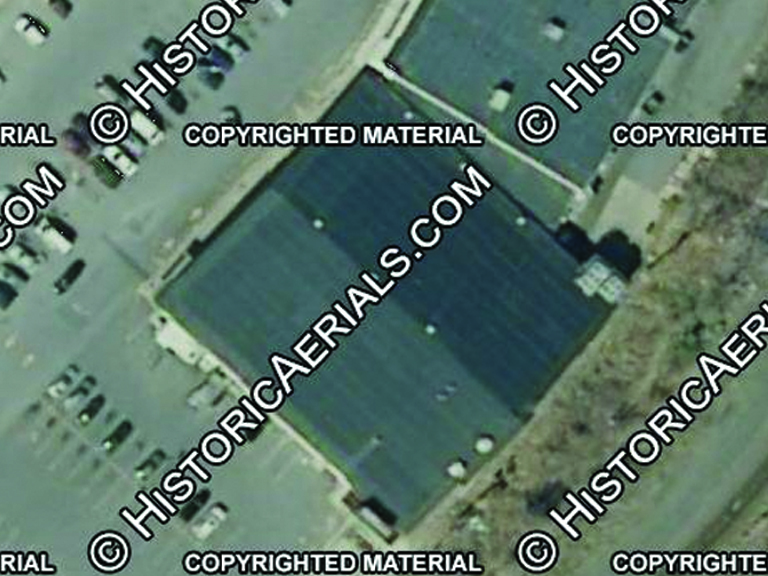 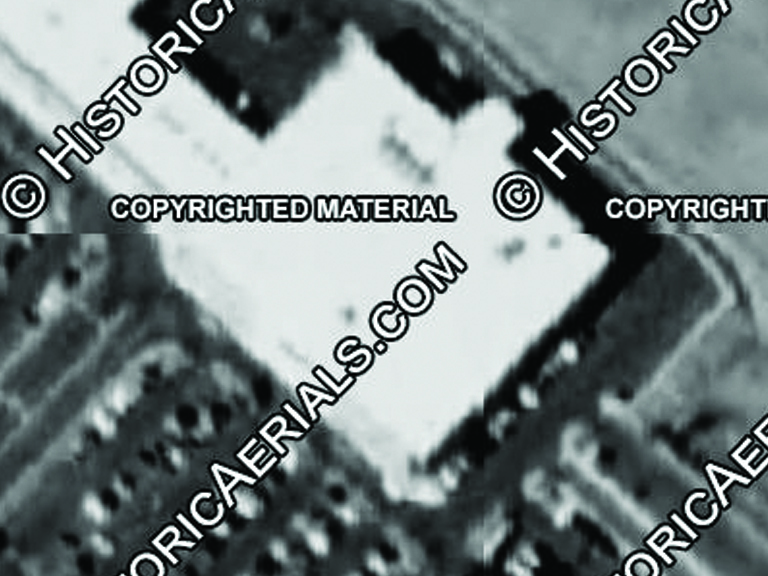 When I put together the Freehold post back in October of last year, I didn't include the historic images because HistoricAerials.com was down at the time. 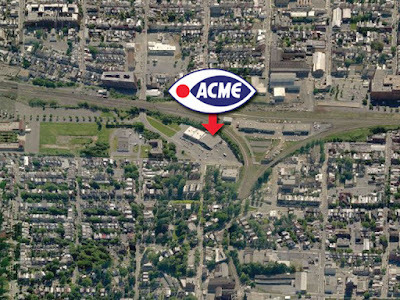 I didn't give it much thought until comments were left mentioned the Acme being built in the exact spot of a former A&P. 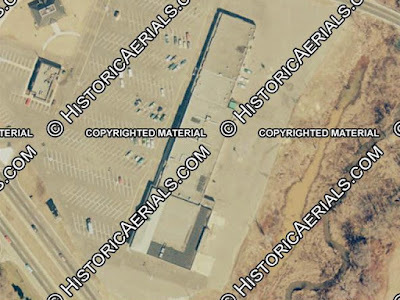 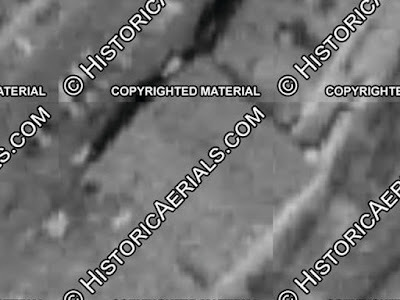 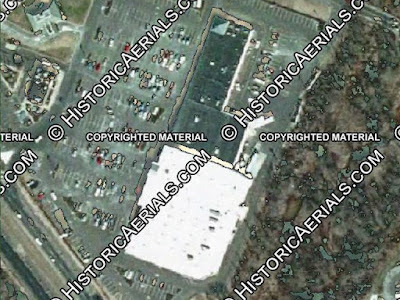 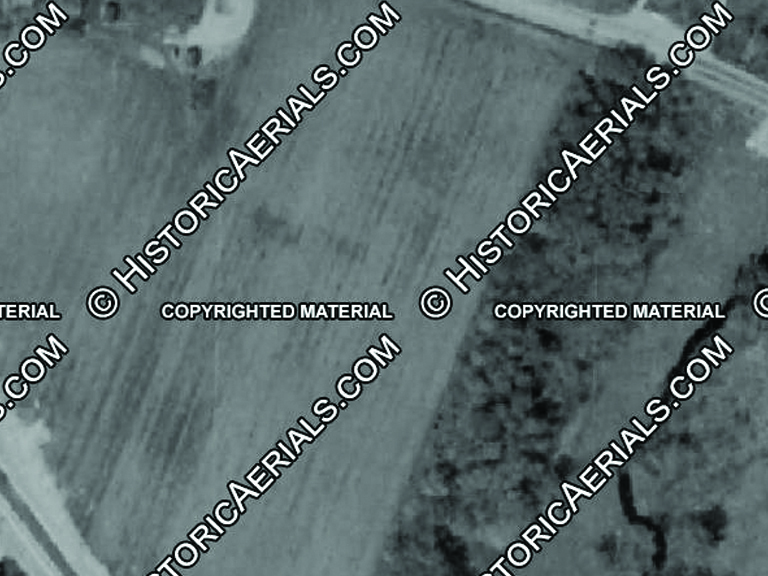 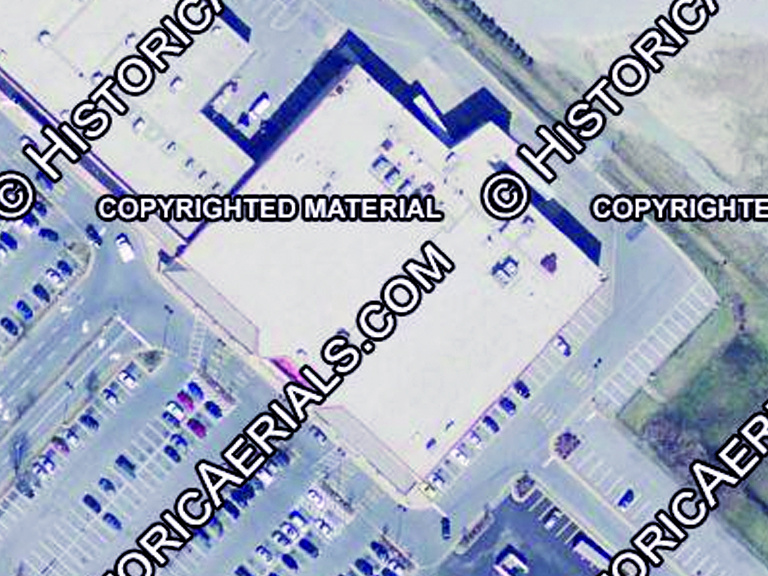 I immediately jumped back over to HistoricAerials.com, found it working again and saw the Acme was, in fact, built right where an old Centennial A&P had stood. I've been wanting to circle back ever since to get the historic aerials up on the blog. 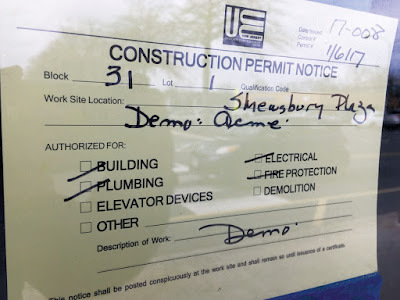 They are finally arriving today! I created a separate post for them since it's quite interesting seeing an old A&P being swapped out for a big new Acme! 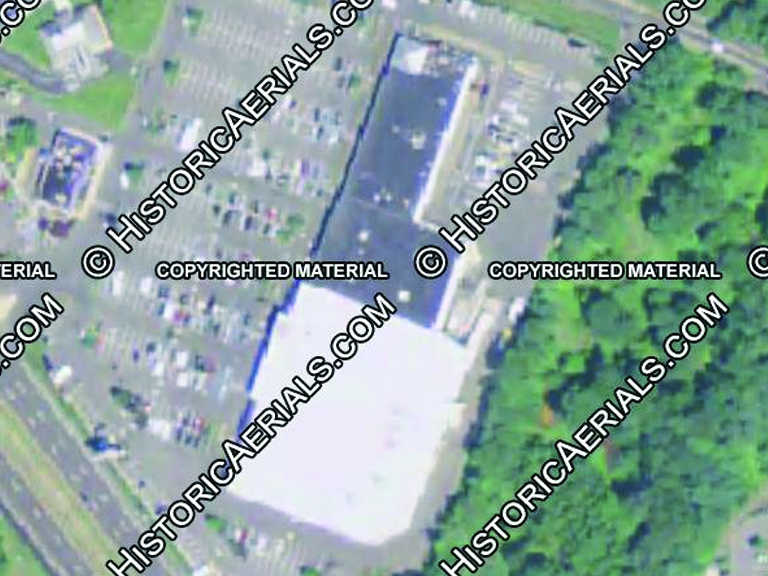 They will also be added to the end of the Freehold post, which you can view by clicking here. 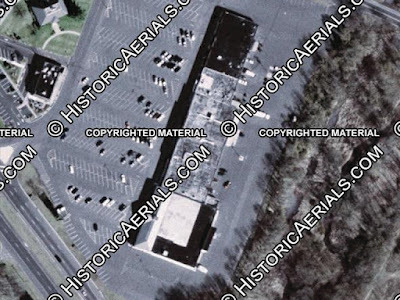 The former A&P clearly seen in 2002. 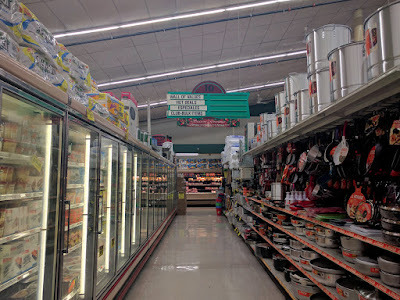 The store wouldn't be standing for much longer. 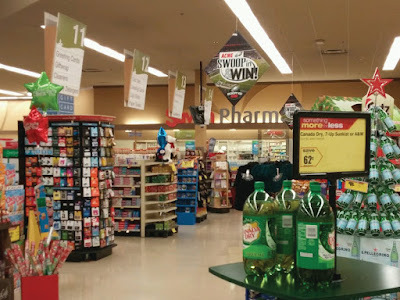 Could have sworn this store was on the blog. Pictures came in a long time ago and I'm sure prepped the post but its no where to be found. 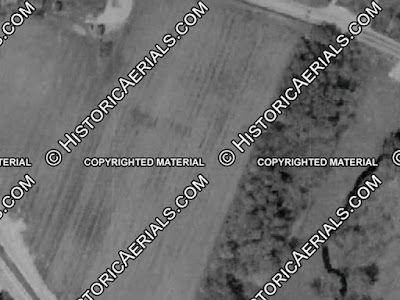 Good thing Stephen sent in another round! This is one of the very few, fully intact, pitched-roof Acmes I had ever been while it was STILL an Acme! Came across this place back in the early 90's on a road trip to the outlets in Reading. 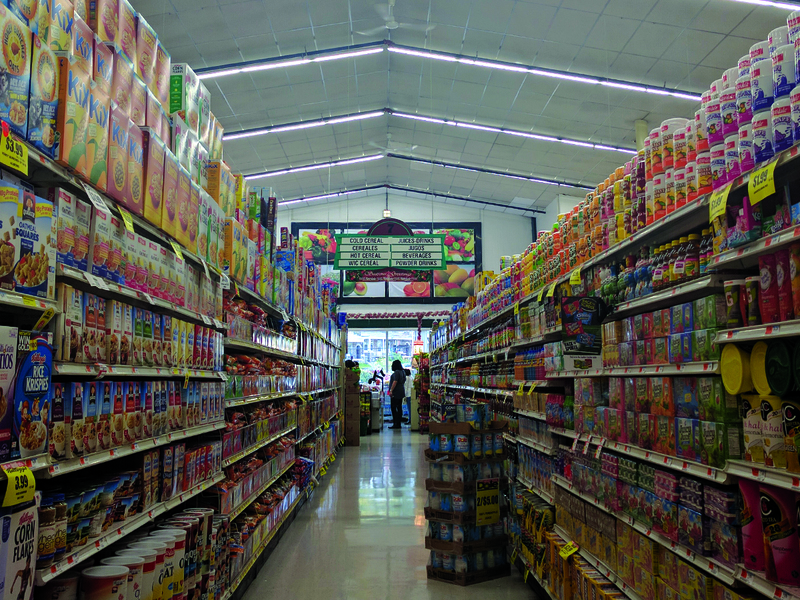 The interior still had the 70's décor on the walls. 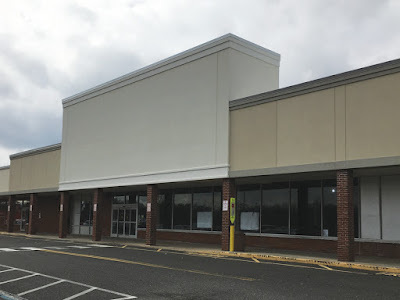 The store wasn't in the best of shape so I figured its days were numbered. 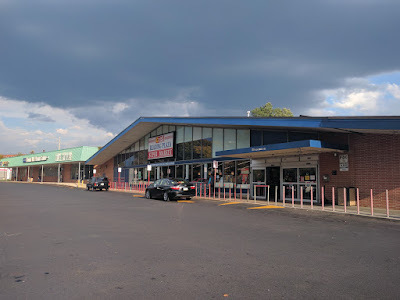 I made a point to stop in every time I was in Reading. 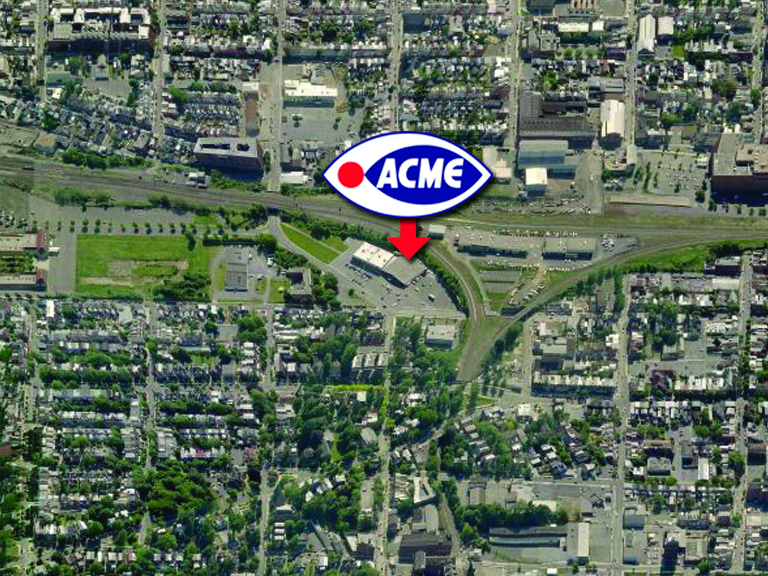 Then one day, I came down the hill and saw the Acme was gone. 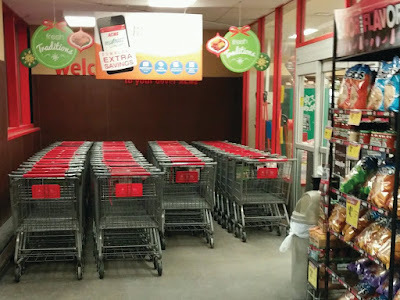 Another store had taken over. 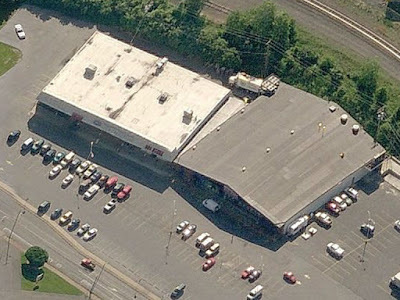 Can't remember if it was C-Town at that time or not but it was a sad day nonetheless. 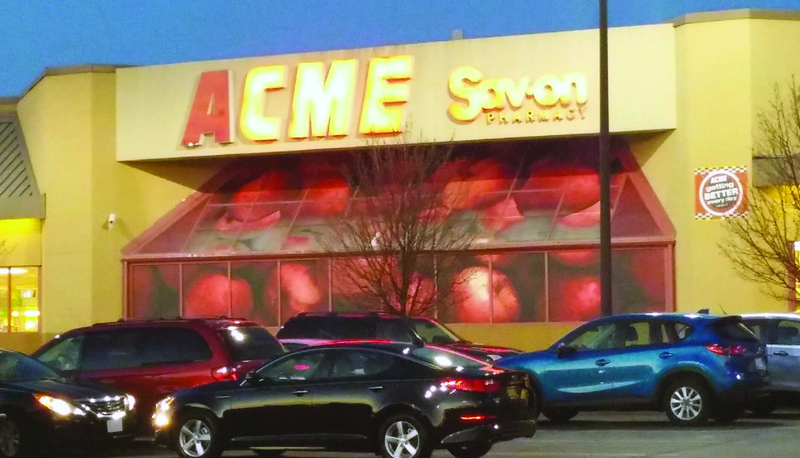 Acme's lava-lamp tiles are undoubted still under those pictures of fruits and vegetables. 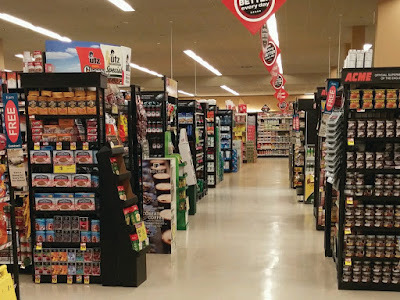 Thanks to Stephen for sending in the pictures! Acme Grated Parmesan and Romano Cheese! 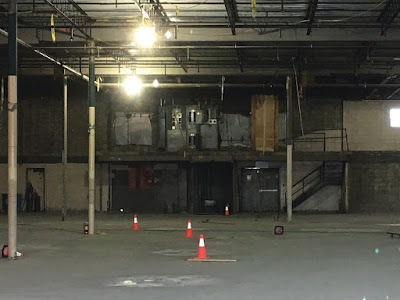 Exterior evening photos and the tour of the interior courtesy of Gary A. 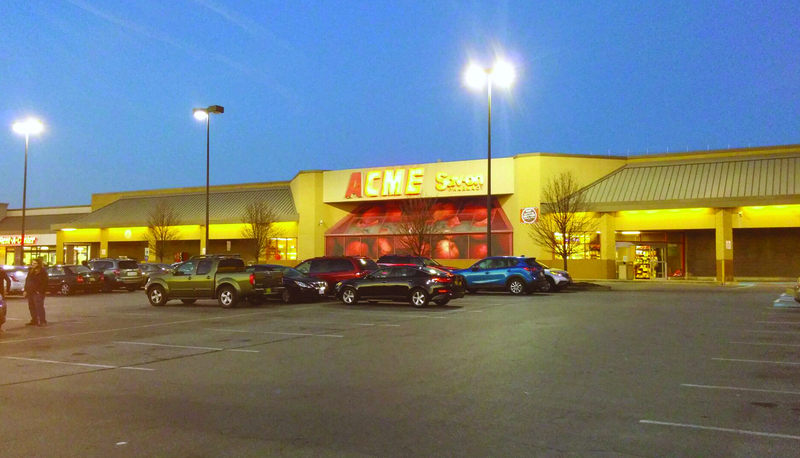 Another long-awaited Acme makes it to the blog! 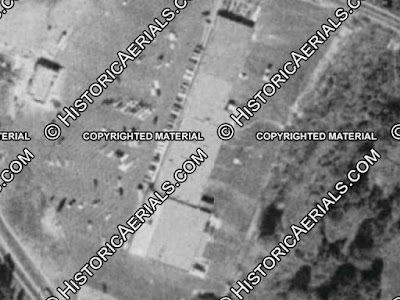 I hate to admit it but Gary sent in these pictures two years ago and I have been meaning to get them up ever since. 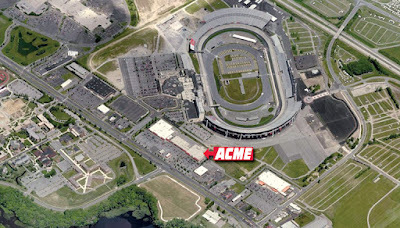 There is a huge back log of photos in the Acme Style inbox and I do tend to loose track. 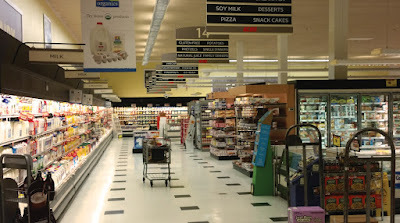 Sometimes I postpone posting pictures if I'm not in the right mind-set to post a particular store. 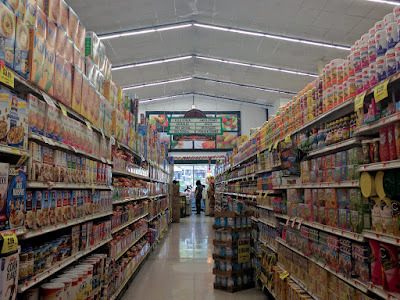 Sounds crazy but I've gotta be feeling a store to get it up on the blog! 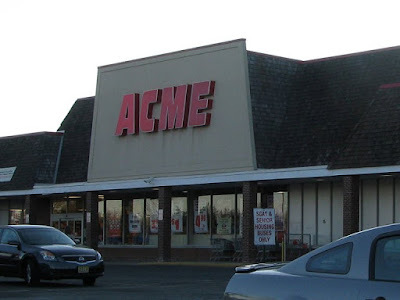 I believe there are only three other Acmes to have this exact exterior treatment... Hockessin, Ogletown and the long-gone Acme in Turnersville, New Jersey. 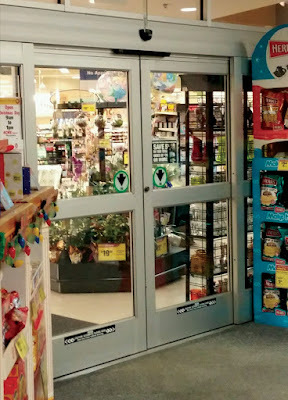 Stores like Downingtown are nearly identical to these just without the greenhouse-style vestibule. 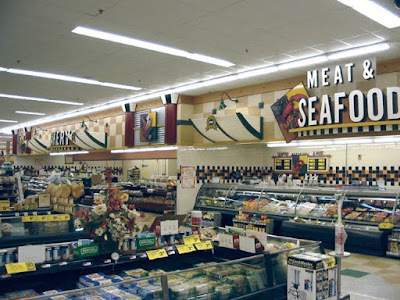 The very first time I saw this store was back in the early 90's. 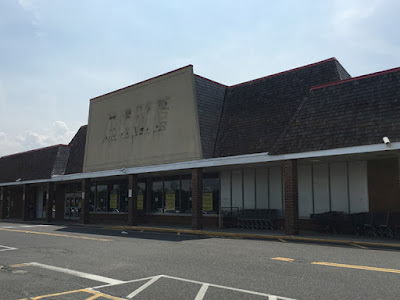 Wound up passing it on my way to Ocean City, Maryland for vacation. 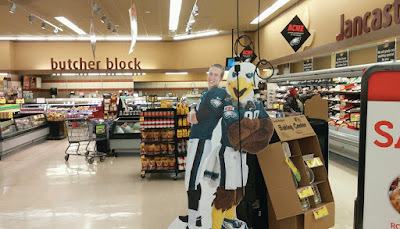 Nearly drove off the road! 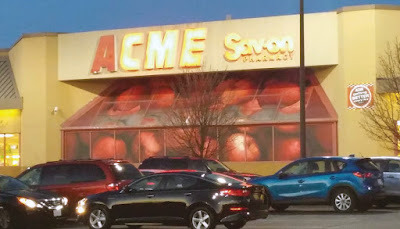 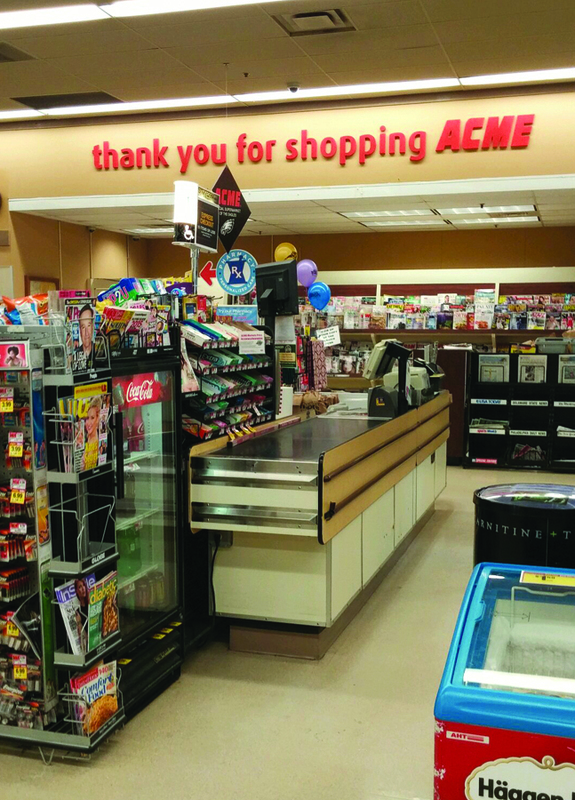 I had never seen an Acme like it before. 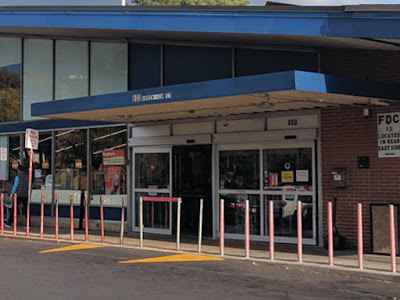 At the time, the red oval logo was on the front of the store and the greenhouse-style vestibule was all clear glass and wide open on the inside. 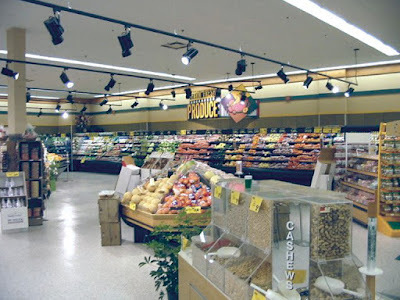 It has since been covered over with apples, drop ceiling added inside and walls added to create an interior alcove. 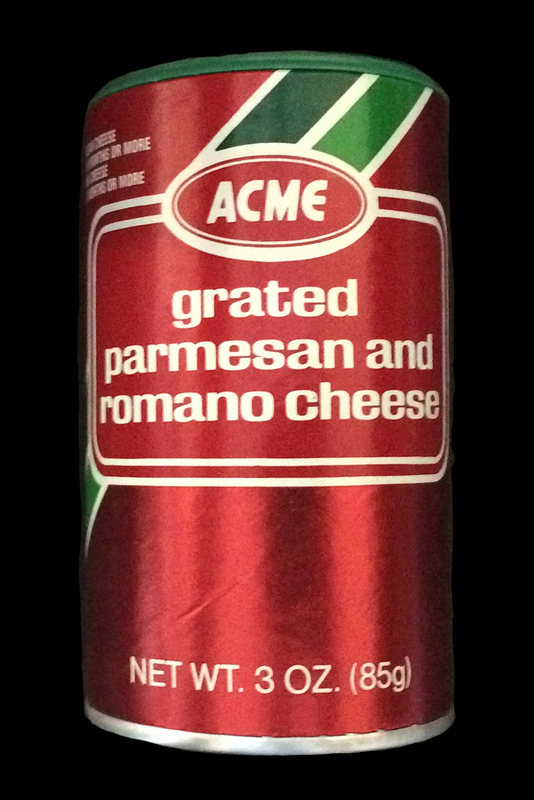 Not nearly as much fun as it used to be! 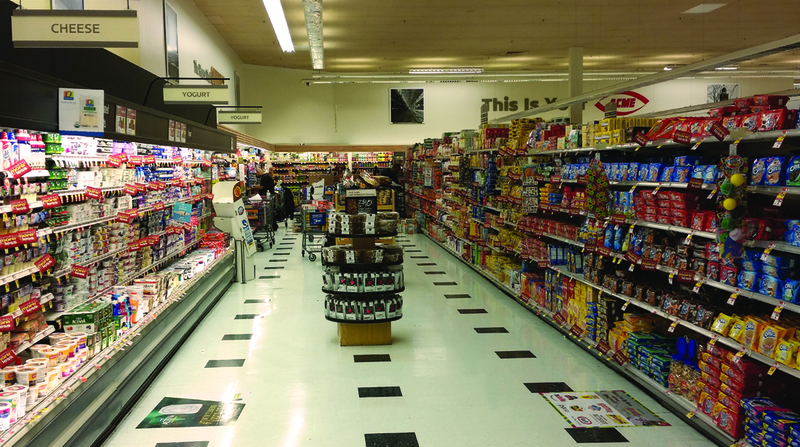 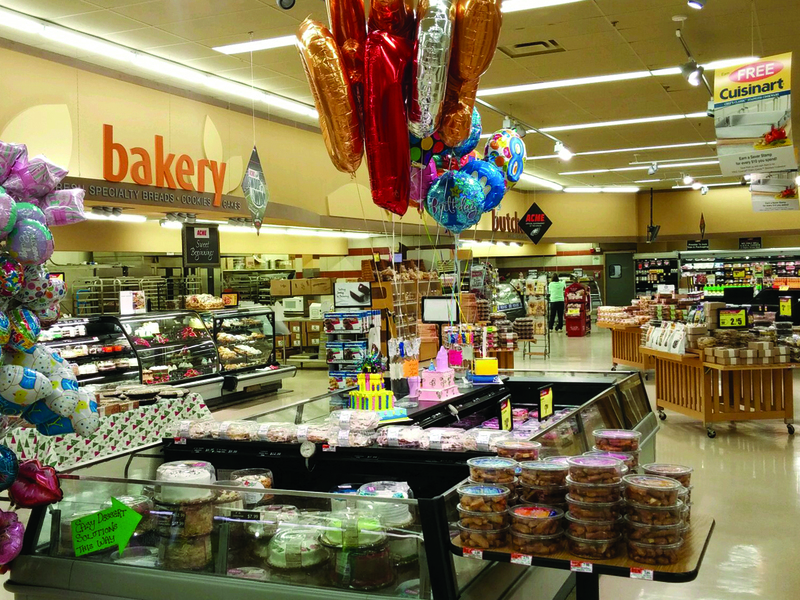 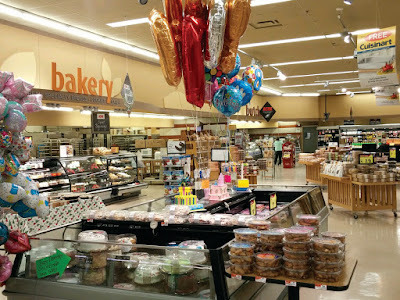 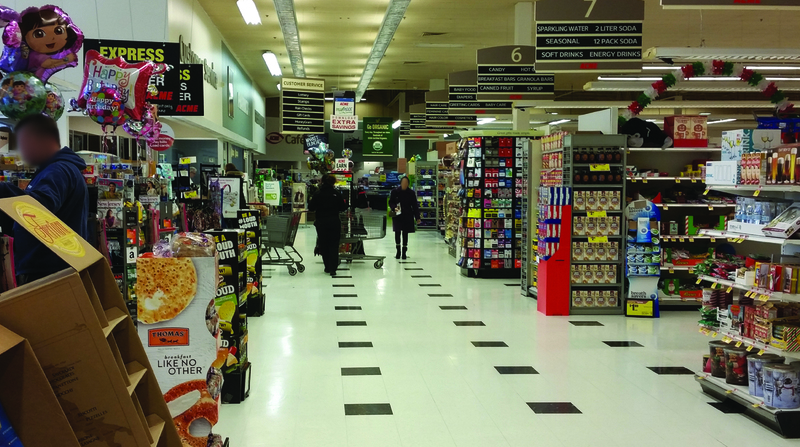 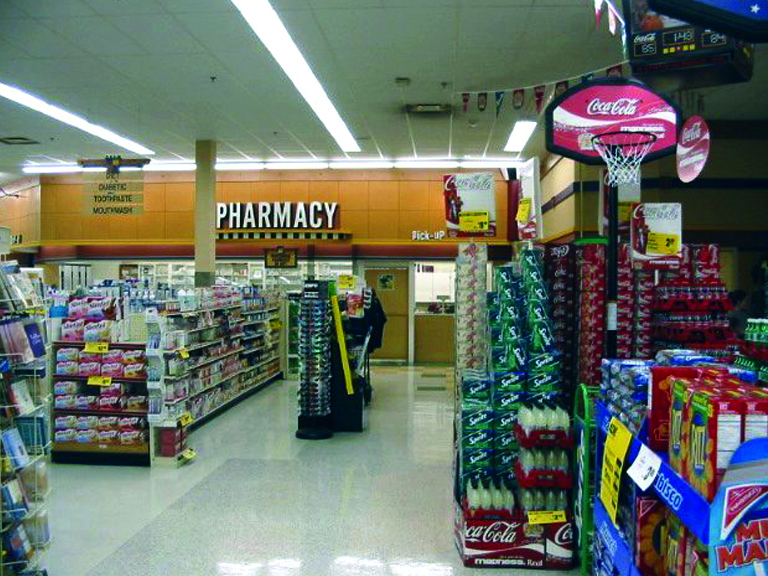 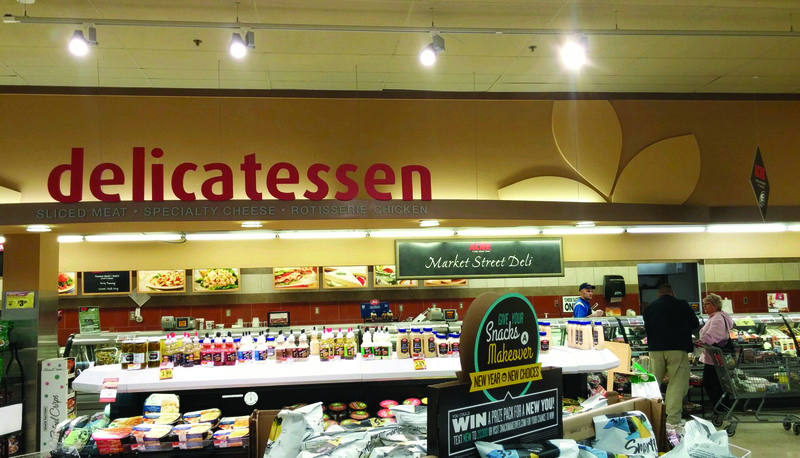 The interior of the store had the 80's Remodel, although it hadn't been remodeled. 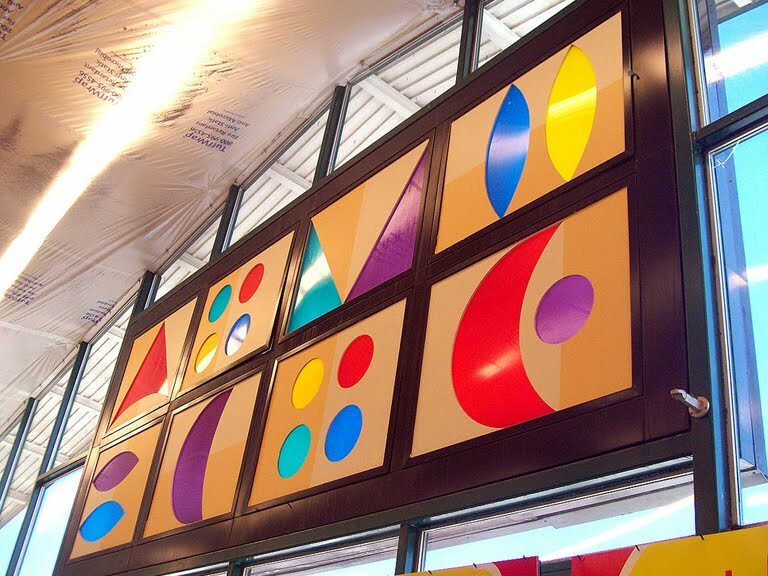 It was built with the décor. 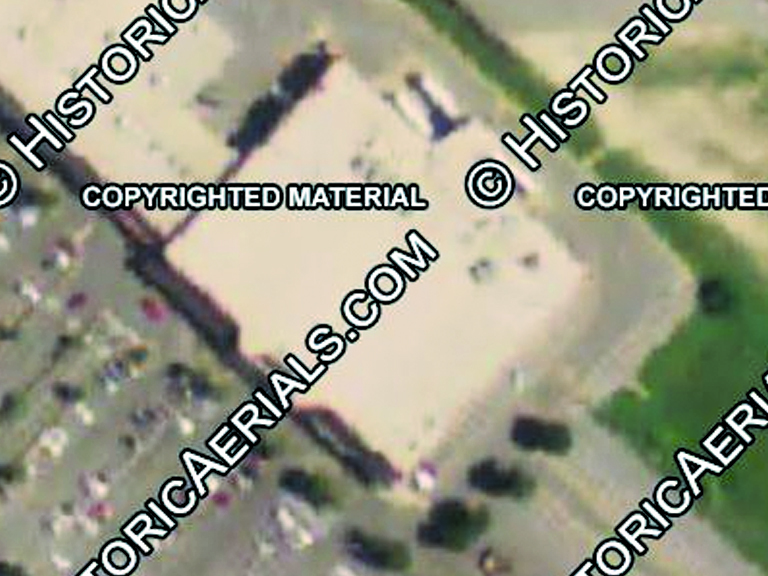 (If memory serves me right, this was a replacement store for a 33M model just up the road. 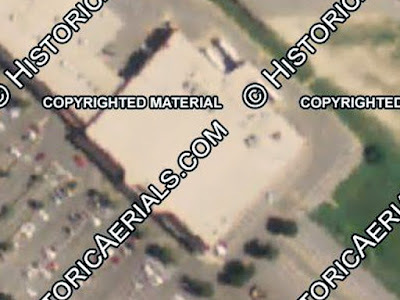 That store was abandoned with the 80's Remodel clearly seen through the front windows. The building appears to be gone now.) 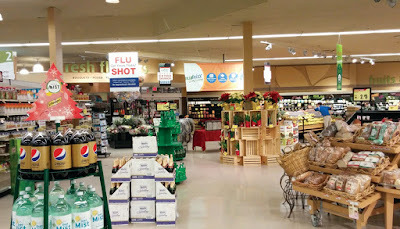 Upon entering this store, I couldn't believe how bit and beautiful it was! 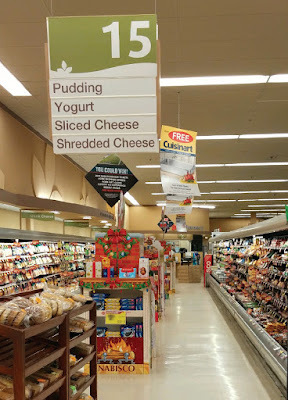 I think I walked around the whole place with my jaw on the floor. 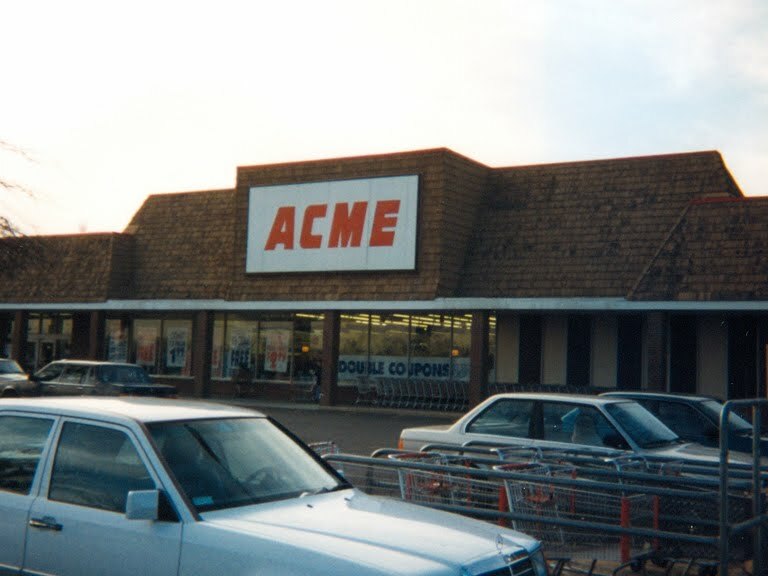 Acme had built other stores in the late 80's about this size with the same layout but I had never been in one. 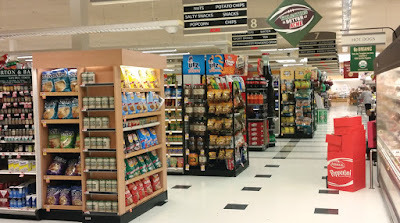 A HUGE difference from the 8 to 10 aisle stores I had been familiar with up until that point. 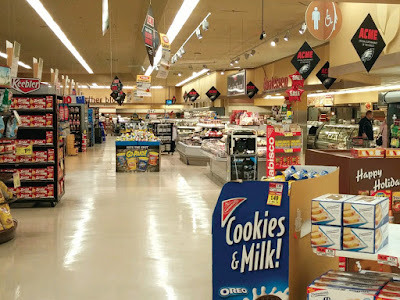 So let's head inside to see how the store looks today! Assuming it hasn't had any major changes in the late two years. 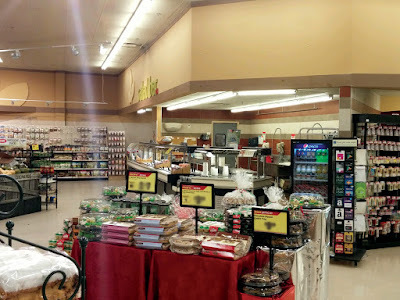 Here's a shot of the right side of the vestibule. 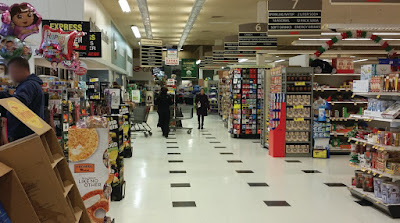 (We started to head into the left side). 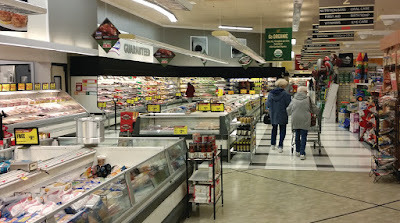 You can see the wall and drop ceiling that have been added since the store was built. Just a plain old vestibule now. 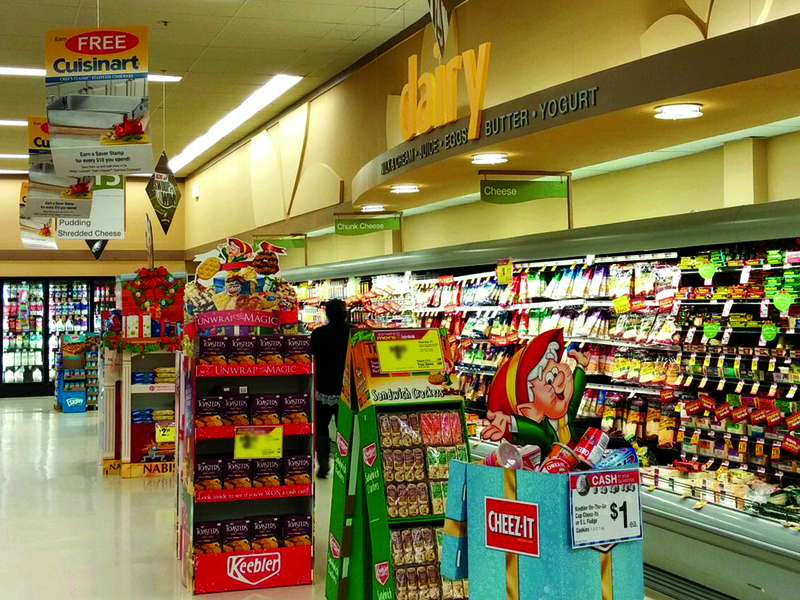 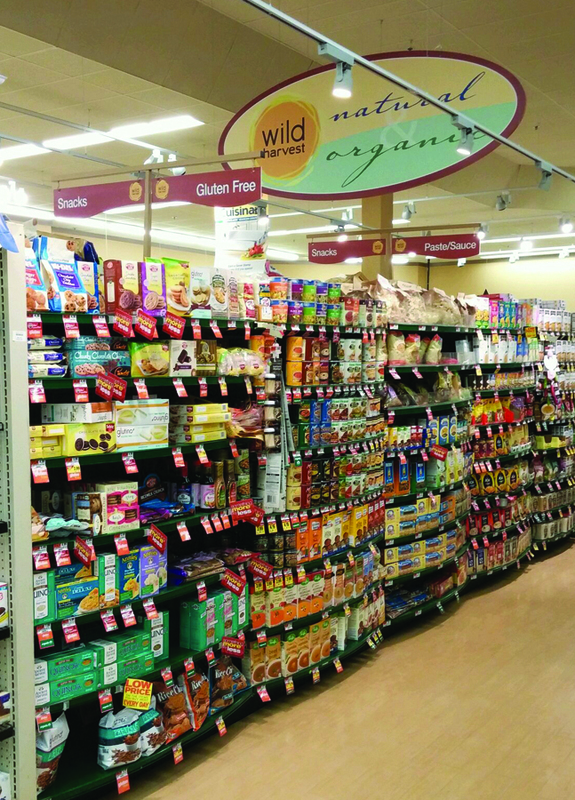 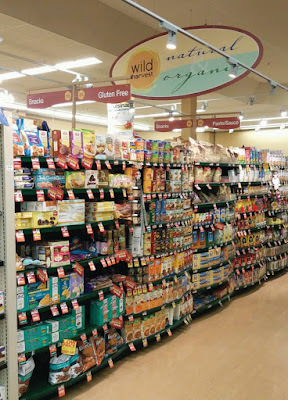 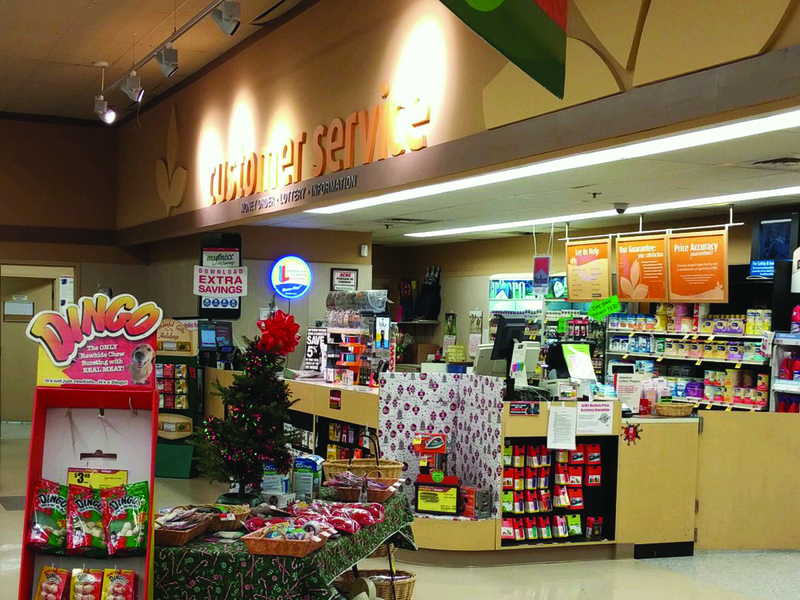 This store had the deluxe Premium Fresh and Healthy version 2 remodel in recent years. 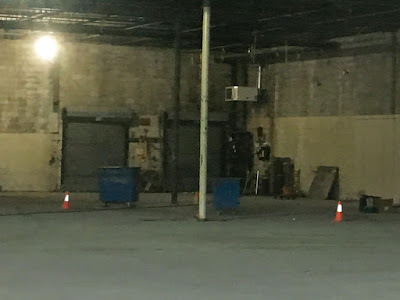 We're going to get an exclusive look at the previous décor package in this post was well. 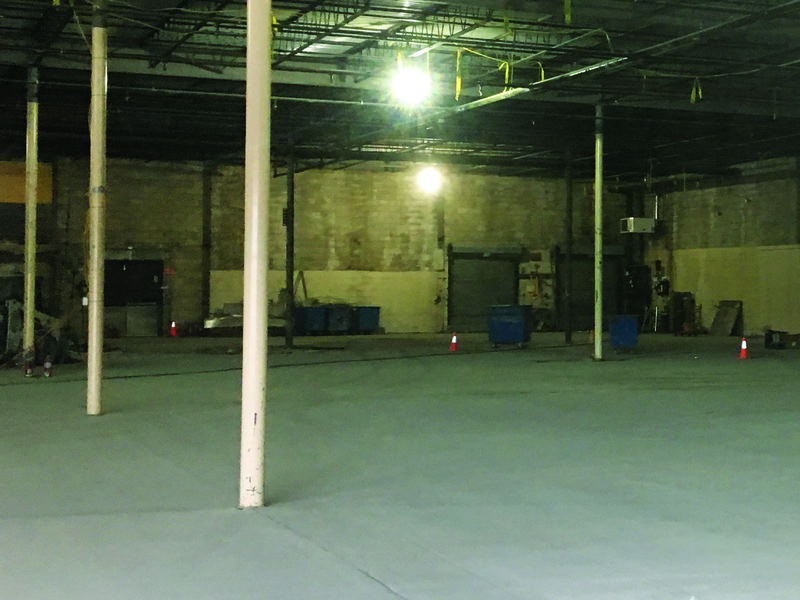 All new flooring throughout. 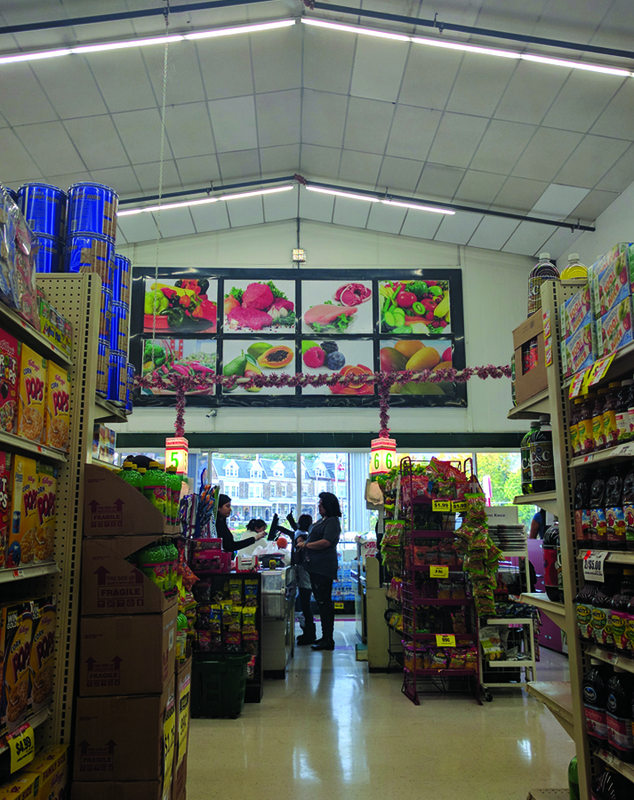 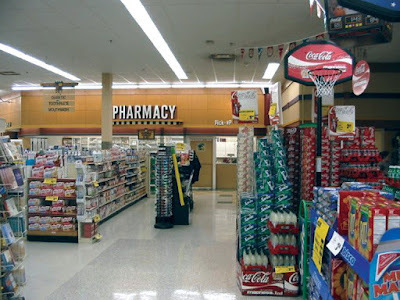 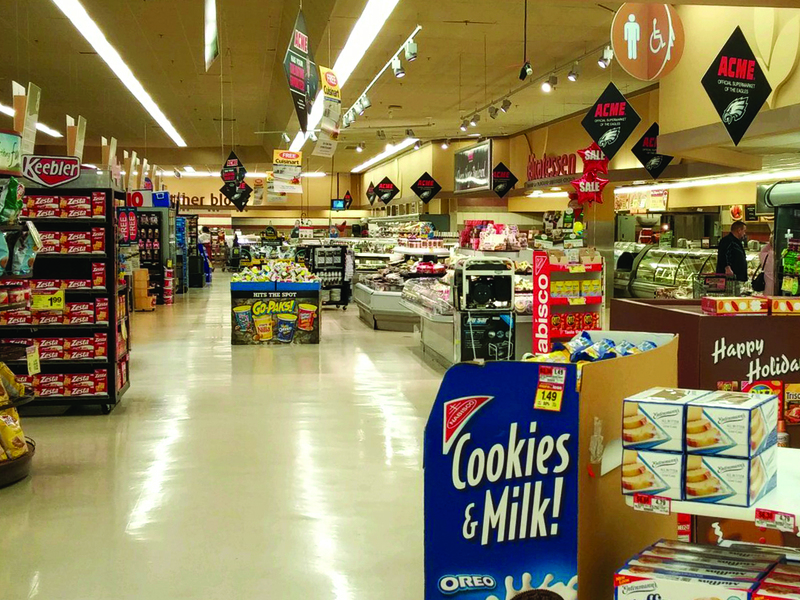 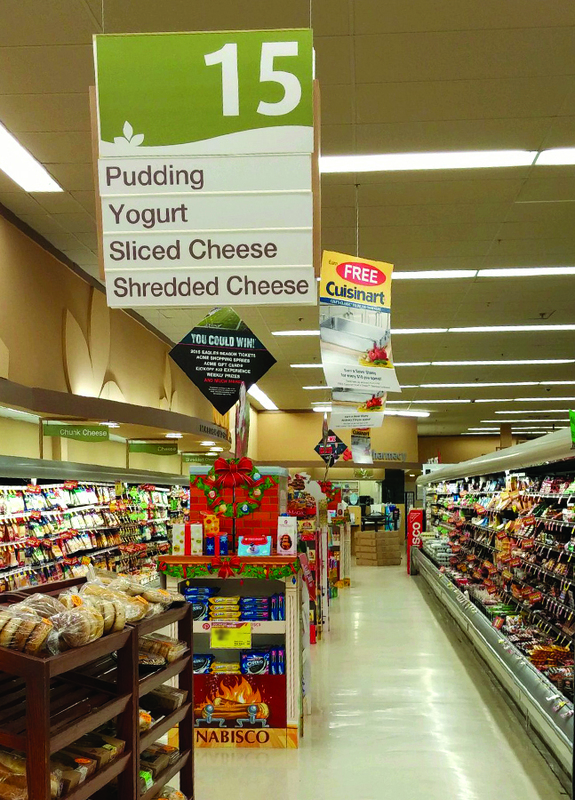 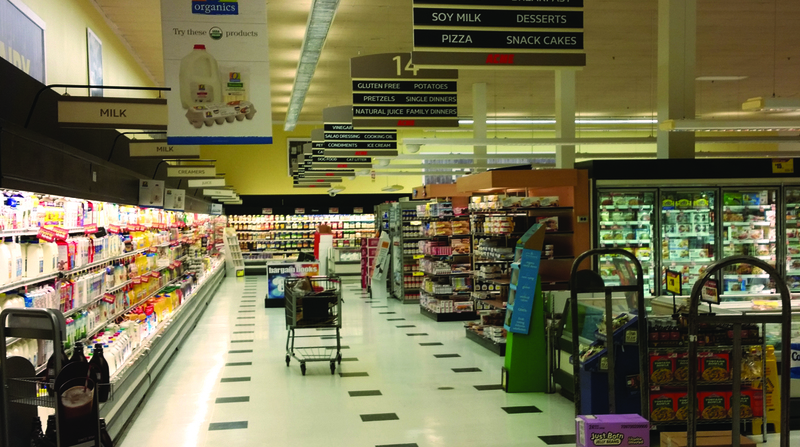 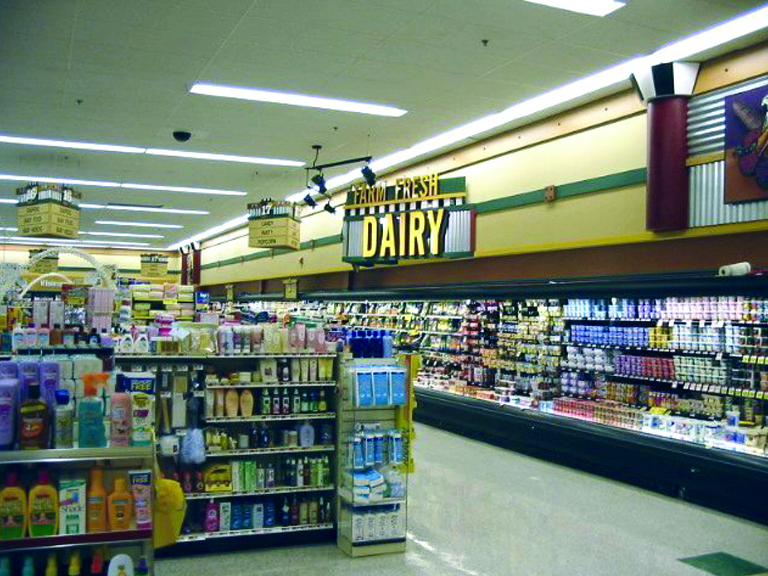 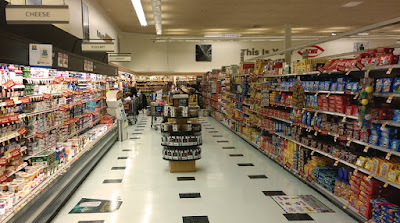 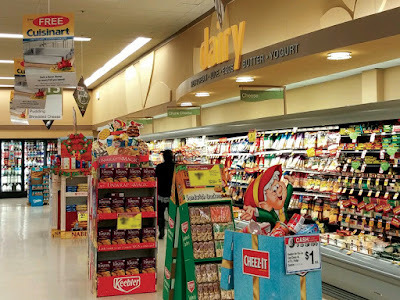 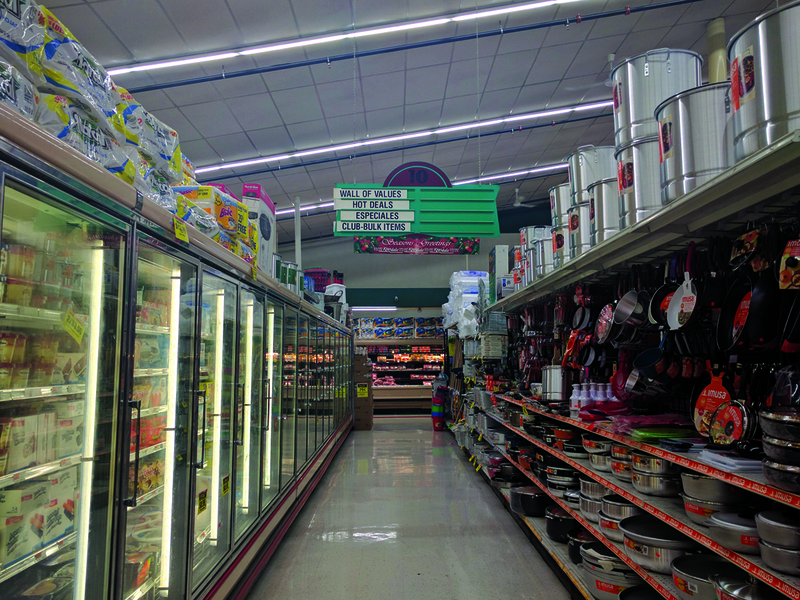 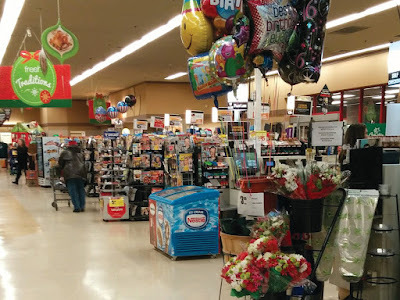 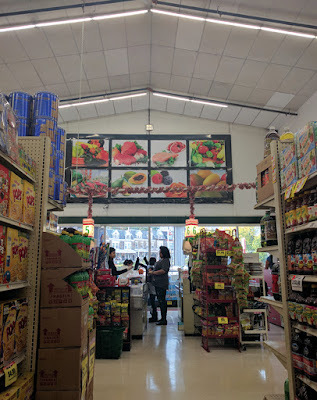 While the layout is virtually identical to the stores built during the 90's, these late 80's/very early 90's stores didn't have the windows and arched ceilings in Produce. 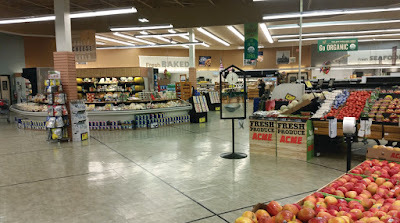 The fresh cut fruit section was moved to the side wall. 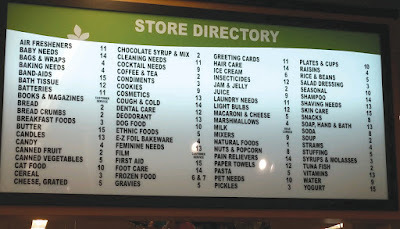 You can see the signage under "fruits & vegetables". 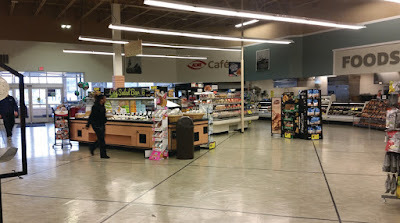 The former Fruit Bar is now the Salad Bar, as you will see after the "before" photo. The Industrial Circus décor was certainly busy décor, especially when compared to what replaced it. 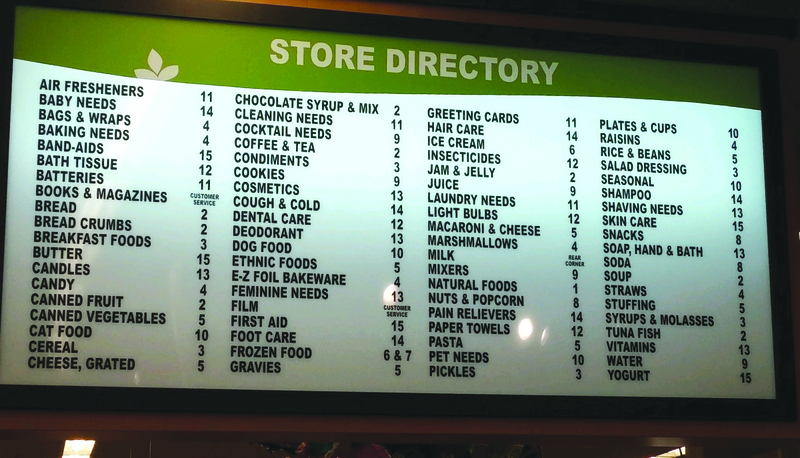 The short-lived store directories. Only seen in the first two versions of the PF&H remodels. 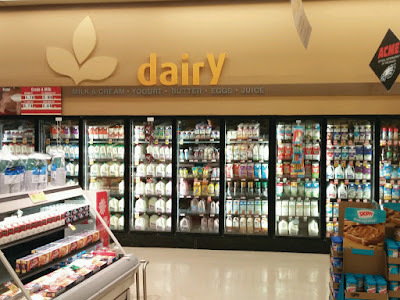 Looks like "EGGS • JUICE" was installed before "dairy". 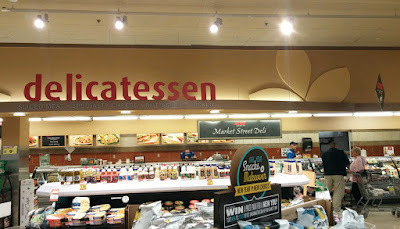 No room made for the descender on the "y". Wow, that's hard to look at. 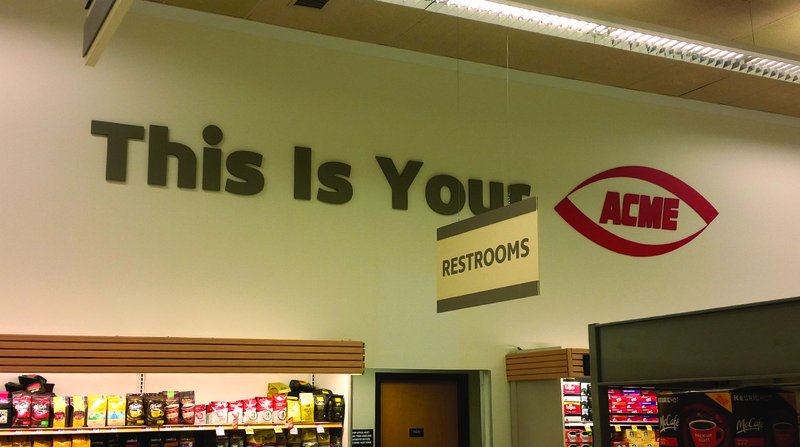 The "y" done right along this wall! 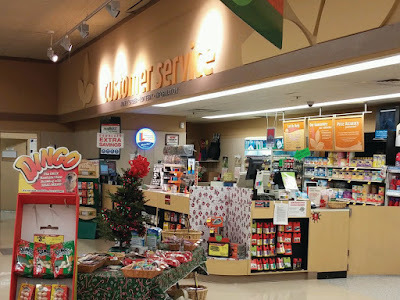 Customer Service is in the front corner. One thing missing from the remodel here is the drum lights in frozen and along the front-end. An alcove for newspapers and magazines in what used to be a completely open vestibule. 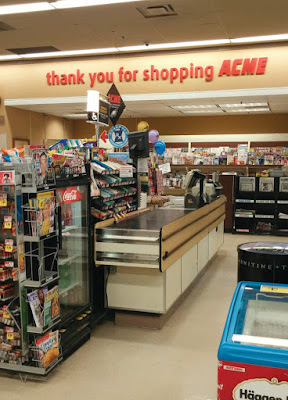 I wonder if Customer Service was ever in this spot. 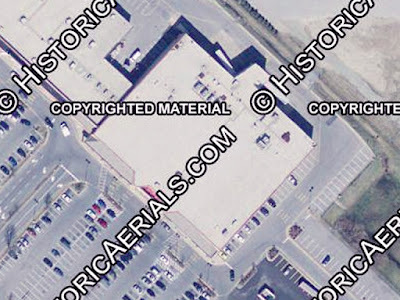 Seems like a better location than where it is now. 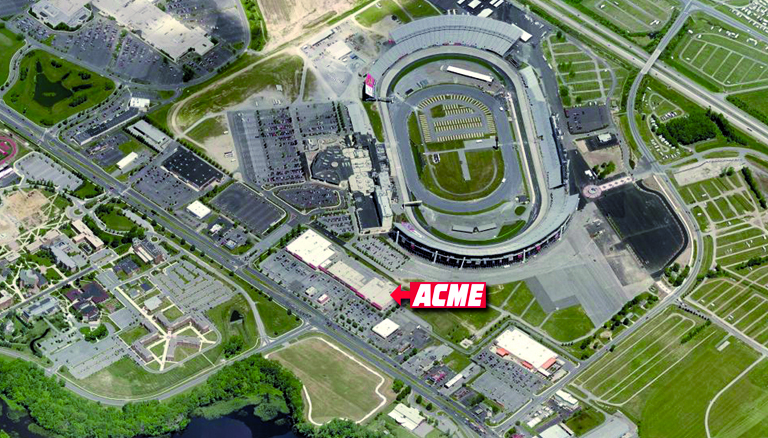 The Dover Acme is still its original size. 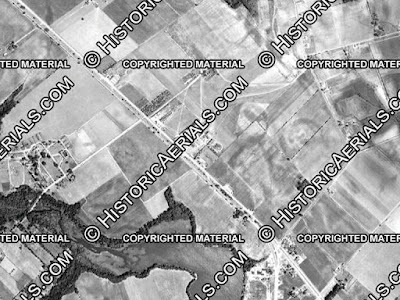 A lot of changes here over the last six decades! Thanks to Will for the first photo and Gary for all the rest, especially the thorough interior tour! 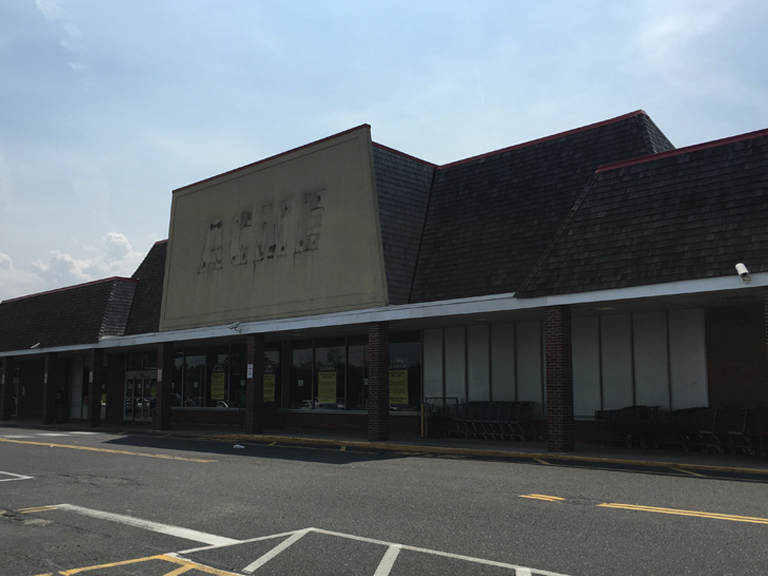 Extensive remodel underway in Rehoboth! 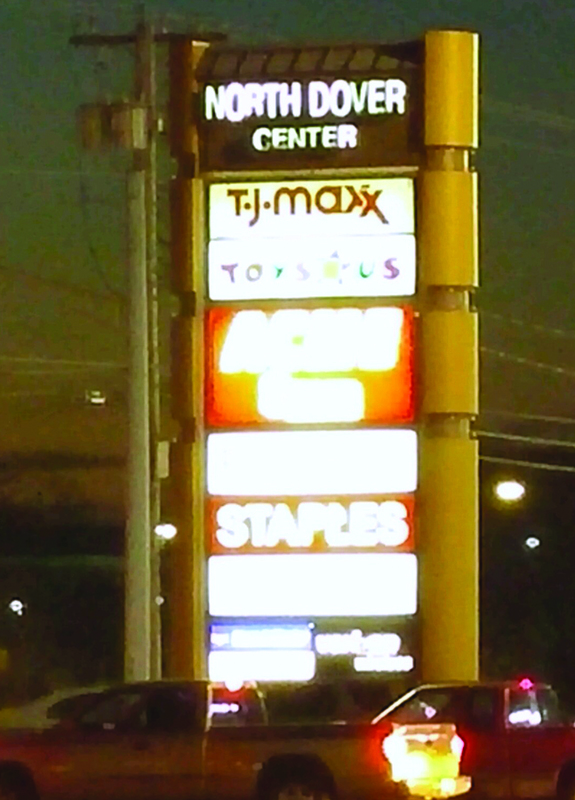 Quality Built in Warren New Jersey!